Last week was probably my worst week in picks yet. I went 5-11, making my overall record just 22-25! But this week, I have modified my picking method to make sure it doesn’t happen again. Who will win this week’s slate of games? Keep reading to find out. Note: The teams on the top in the images are the road teams, and the teams on the bottom are the home teams. 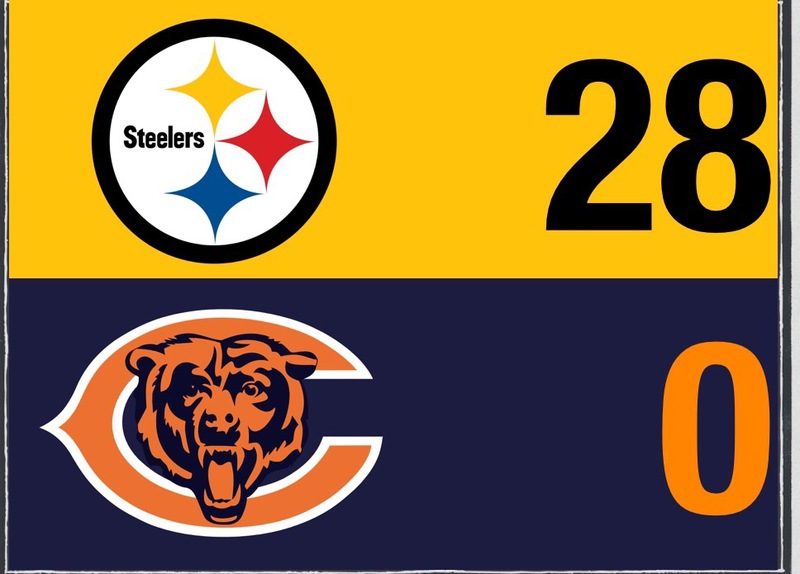 The Bears may have beaten the Steelers but that was last week. It won’t happen two weeks in a row, especially since they’re on the road this week. Chicago can’t continue to win games if they are completely reliant on their run game. Their receiving game has struggled without White and Meredith. With Chicago’s offense one-dimensional, expect the Packers defense to take advantage. On offense, the Packers Jordy Nelson should have a huge week. He and the other Packers receivers will overwhelm the Bears secondary. 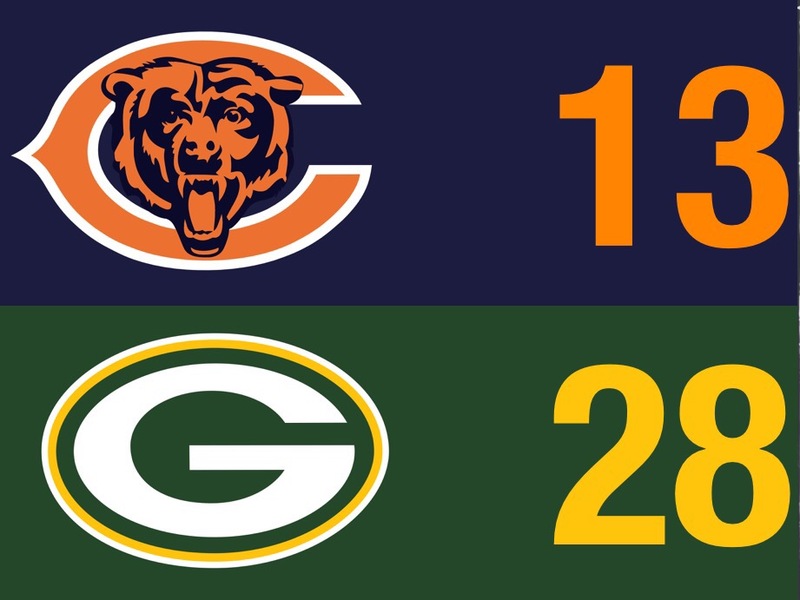 This will all add up to a big win for the Packers. I don’t know why the Dolphins are the underdogs. It could be because they lost to the Jets last week in New York. The Saints haven’t been much better so far which is why the spread is close to even. 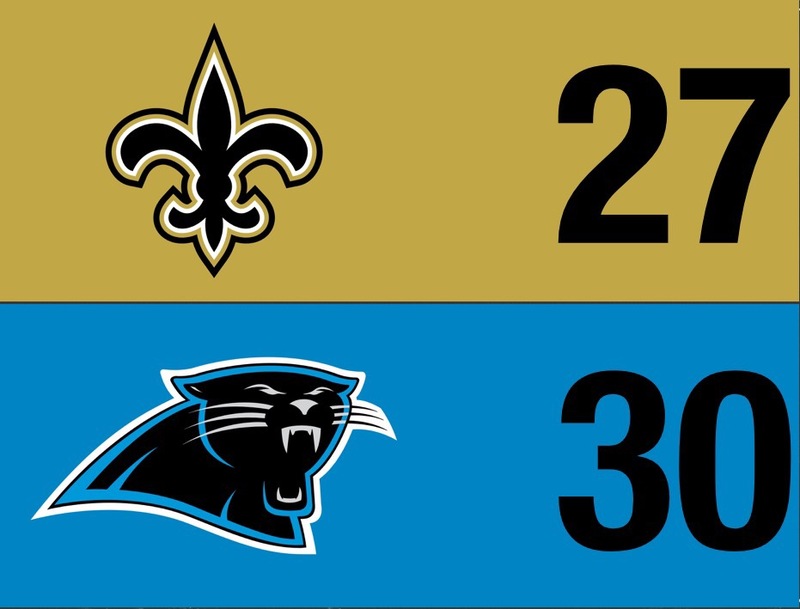 The Saints may have shown us something last week in their first win but Carolina was not at full strength with Olsen and Benjamin (who was hurt early on) out. I think the Dolphins will come away with a narrow victory. One key factor in this game is Jay Ajayi. Ajayi rushed for over 100 yards in Week 2’s win over the Chargers. On the other hand, he was limited to just 16 yards against the Jets. So far this year when Ajayi does well, the Dolphins win. The Saints run defense has not done well this season (9th worst in the NFL) so expect Ajayi to dominate, especially at home. The Saints offense will be tough to defend though especially with stud WR Willie Snead returning from a 3 game suspension. Does the Miami secondary have what it takes to cover both Snead and Michael Thomas, or will they be too much for the Dolphins? 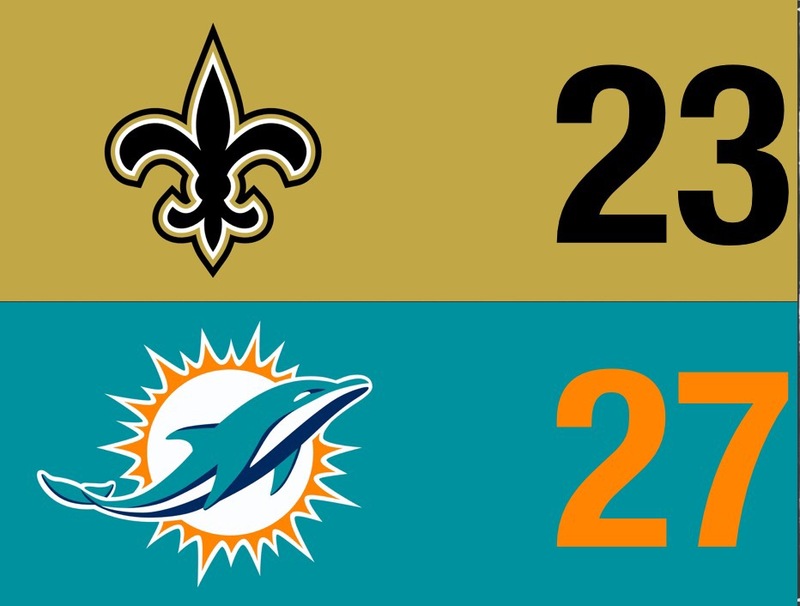 Thomas or Snead could have a huge game but I think if the Dolphins can get into a rhythm on offense and keep the Saints offense off the field, they will win this game. The Patriots are gaining some momentum after two big wins where they scored 36 points in each game. They will come up big again against Carolina. The Panthers are depleted by injuries right now with offensive stars Greg Olsen on IR and Kelvin Benjamin banged up with a knee problem. The Panthers will have to depend on two up and coming rookies for offensive plays. WR Curtis Samuel and RB Christian McCaffrey have helped lead the Panthers to their 2-1 start. Expect the Patriots to game plan against McCaffrey and to try and bump Samuel at the line to throw off the timing of his routes. Will they be ready for the unexpected that Belichick usually likes to have ready for rookies? Cam Newton could be the x-factor for the Carolina offense as the Patriots just faced a QB very similar to Cam in Deshaun Watson. If Cam can return to his pre-injury form, the Pats defense could be in for a long day. For the Pats offense, both Gronk and Cooks could have big days against the young Panthers corners. Even without Thomas Davis, the Panthers run defense could give Gillislee and White problems. However, the Pats proved last week that a healthy Cooks, Hogan, and Gronk can do a lot to offset an inconsistent run game for the Pats. This game will be closer than many may believe. Atlanta’s offense dominated last year. The offense led by studs WR Julio Jones and RB Devonta Freeman was strong enough to bring them to the brink of a Super Bowl victory. This year, Atlanta’s offense is still on a roll butBuffalo’s offense has surprised many especially with an upset win against Denver last week to put them at the top of the AFC East for the first time in many years. Atlanta will win this game but it won’t be easy. 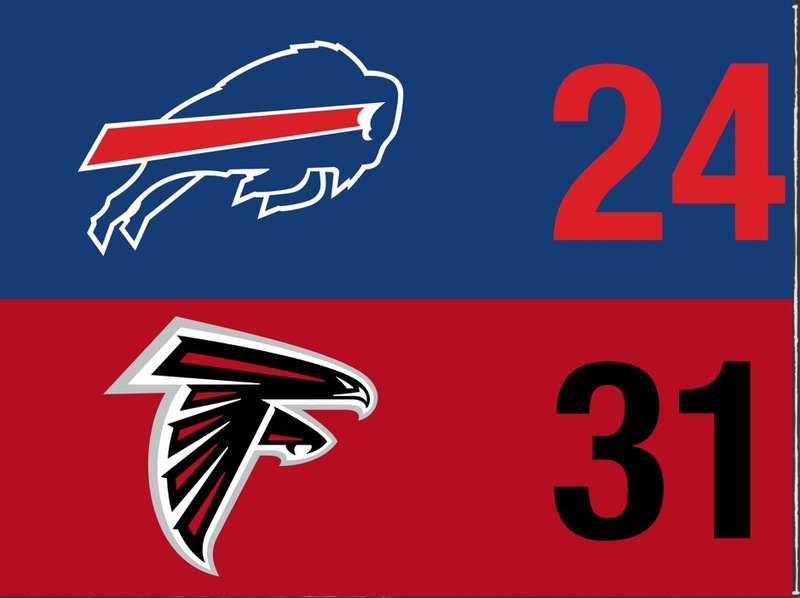 Expect the Bills offense to be as physically and mentally prepared as Atlanta’s. LeSean McCoy could be dominant with Atlanta’s star LB Vic Beasley out. Tyrod Taylor has several receiving weapons that could give the Falcons secondary some problems. But the Bills defense could blow the game for Buffalo. Buffalo’s young secondary lost their top two corners to trades/free-agency this off-season. I believe Atlanta’s versatile receivers will have big games and they will carry the Falcons to a big win at home. The Jaguars had an impressive win last week in London. They have been inconsistent so far this season but a match-up against the Jets could have them at 3-1 atop the AFC South. Can the Jaguars win two in a row and gain some momentum or will they continue as an up and down team? The Jaguars have a strong young defense and have made big plays on offense and I don’t expect the lowly Jets to have a chance, even at home. If Blake Bortles plays like he did last week and protects the football, it should be an easy game for the Jags. 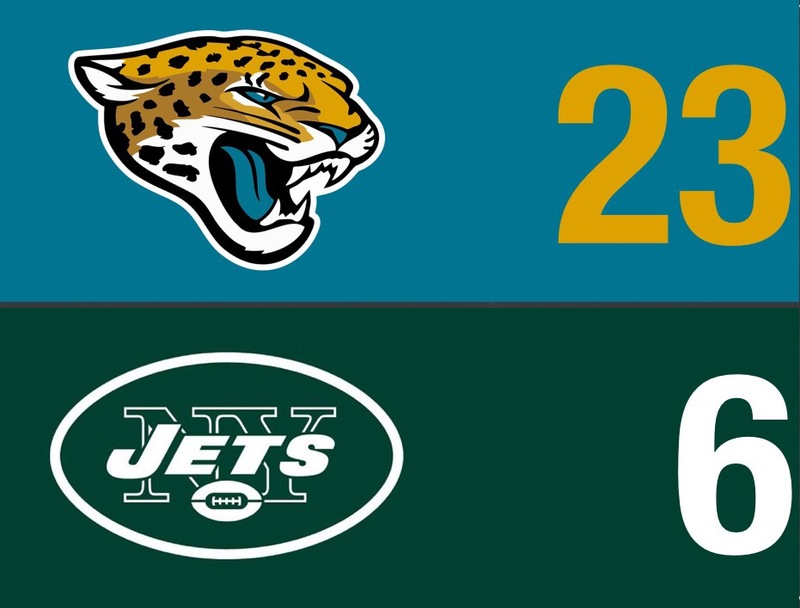 I think the Jets secondary will be overmatched and Bortles will lead the Jags in a blowout. The Ravens were blown out in London last week. Many expected the Ravens to have one of the top defenses in the league but looked pretty bad last week. This is the first division matchup between these two teams and both have extra motivation after bad losses last week. This should be a very competitive game as these two teams have been the top teams in this division for the last several years. The Ravens receivers will do well this week against a Steelers secondary that has struggled so far. Safety Eric Weddle and the Ravens front seven will also do a good job containing a strong Steelers offense. The Steelers should do a good job of pressuring Joe Flacco especially with the Ravens O-line depleted by injuries. Steelers win in a close one. This could be yet another close game this week. Both these teams are 0-3. Who will get their first win? I know it’s hard to believe but I think the Browns get the win here in the battle of the AFC North bottom feeders. The Bengals some great offensive weapons but they have shown no rhythm. This will be a low-scoring game as the Bengals defense will find a way to pressure rookieDeShone Kizer. The Titans have looked better this season and with WR Corey Davis on his way back from an injury expect the offense to be even more dominant. The Texans may have a good defensive front but their secondary isn’t as good this year. Expect Delanie Walker and the Titans receivers to have a big game because the Titans offensive line should be able to give Mariotaenough time to make big plays. The Texans offense is not good enough to give the Titans defense a serious challenge, so the Titans should be able to win this game with ease. This game will be high scoring. The Cowboys will win in an offensive shootout that could potentially be close enough to go to overtime. 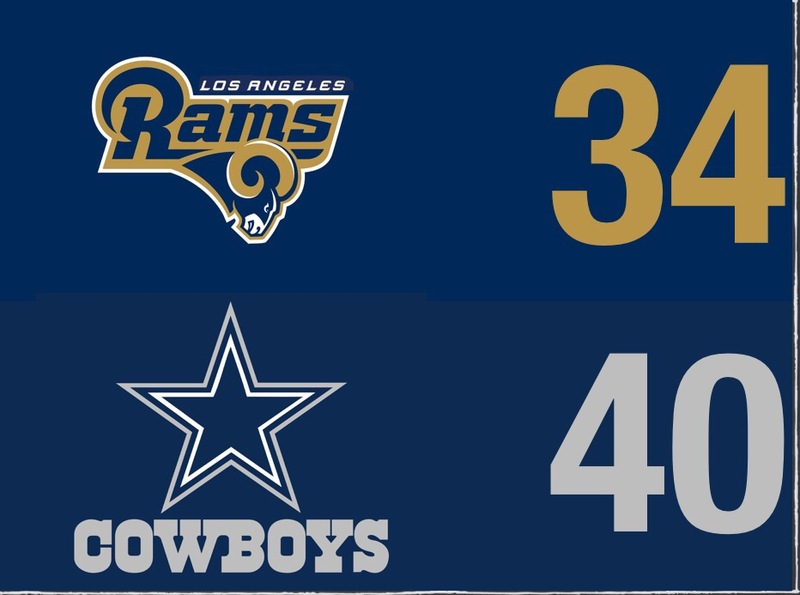 The odds have Dallas favored by 8 but the Rams should be able to take advantage of the Dallas secondary. The Rams have the kind of receiving core that could dominate against the Cowboys especially receiving weapons Sammy Watkins and Derek Carrier. However, I still think the Cowboys will win the game. First of all, the Cowboys offensive line is one of the best in the league and I expect them to give Prescott time to make big throws and also create good running lanes for Elliott. Cowboys win in overtime. This is going to be a close one. WR Kenny Golladay has done well for the Lions and he’s been hard to shut down. 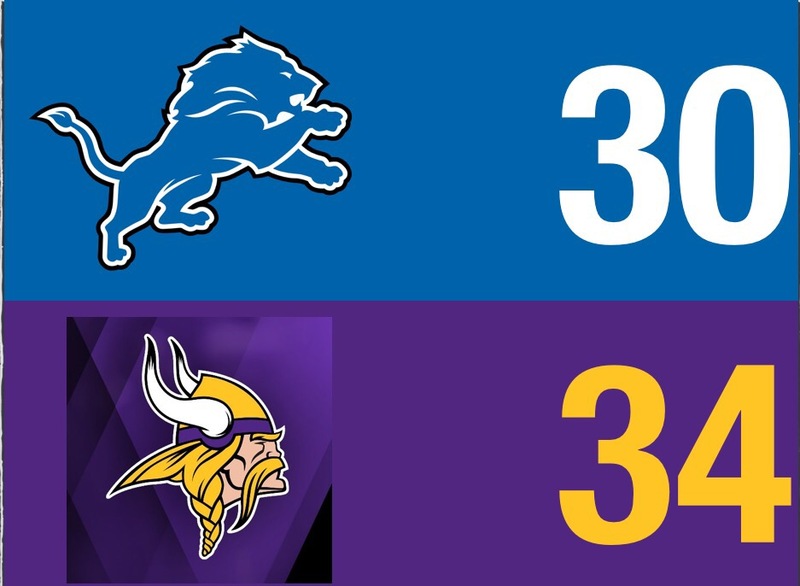 For the Lions to have a chance he will need to have a big game because the Vikings have a really good run defense. With QB Sam Bradford out, I expect the Vikings to run more especially with Lions star defensive lineman Ziggy Ansah injured. Vikings RB Dalvin Cook could have a huge game. I believe the Lions lack a true #1 corner so WR Stefon Diggs could be another factor especially since he has performed well with both Bradford and backup QB Case Keenum. The Vikings win in a close offensive shootout in front of the home crowd in an exciting division match-up. Both of these teams have looked good so far this season in arguably the strongest division in the NFL. This is going to be a very competitive AFC West where I think any of the four teams could win the division. 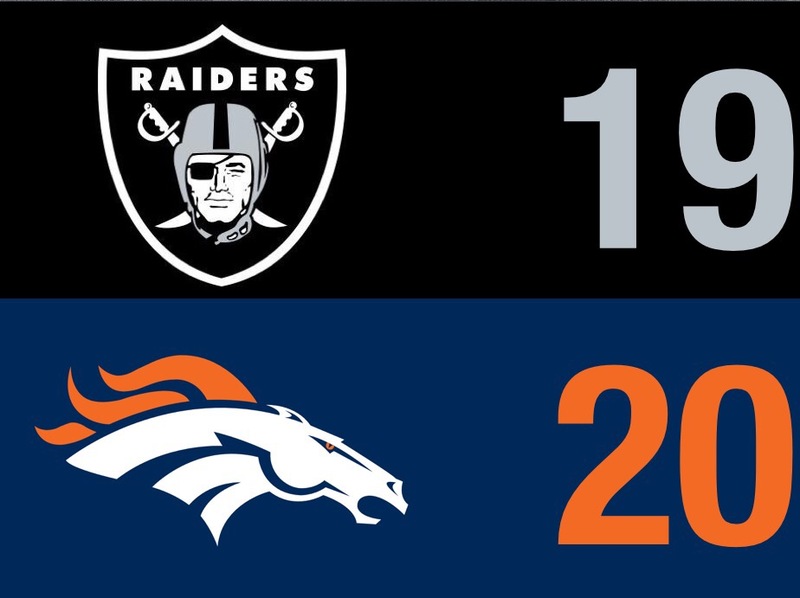 The Raiders are really good offensively but the Broncos has one of the toughest defenses, especially in Denver’s mile-high air. The Raiders QB Derek Carr may struggle to connect with top receivers Crabtree and Cooper because Denver’s secondary led by Chris Harris and Aqib Talib will likely be very physical and throw off the timing of their routes. Trevor Siemian could have a tough game against Khalil Mack and the Oakland defensive front but the Broncos will win a close one at home. 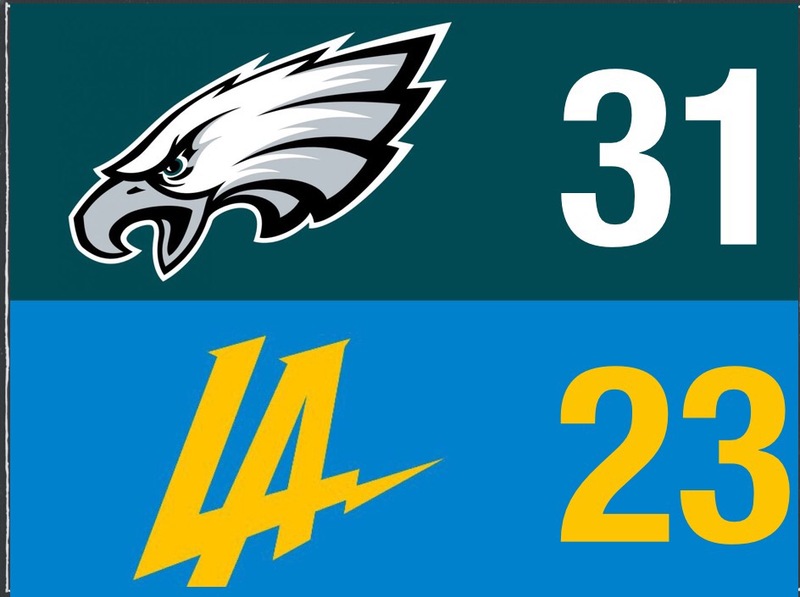 The Eagles have played well this season while the Chargers have struggled. I think this pattern will continue as the Chargers secondary will struggle against a versatile group of receivers led by new Eagles WR Alshon Jeffery and WR Torrey Smith. I expect Philip Rivers to struggle against a tough Eagles defense. Eagles win on the road. The Giants have started the season 0-3 but this one will be a close one. I think the Giants offense will continue to improve as they did against the Eagles in a tough last-second loss last week. 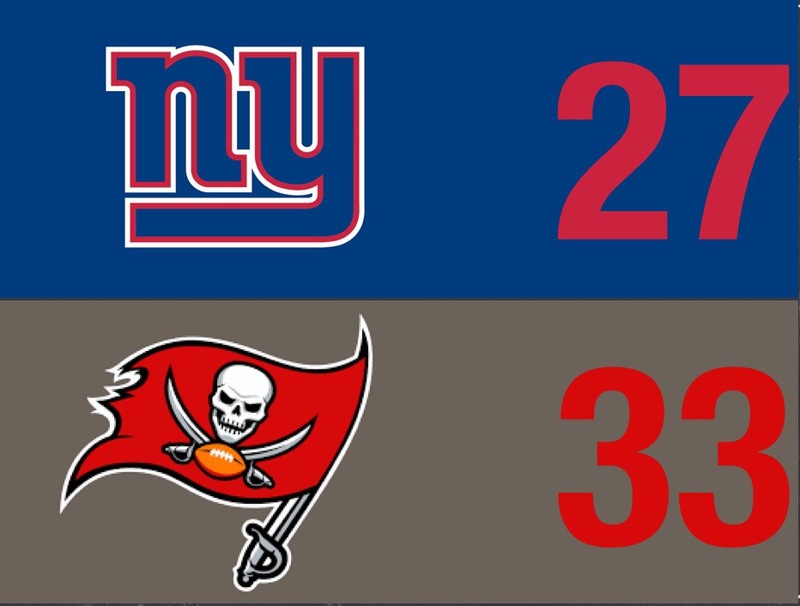 The Giants secondary is a little banged-up so I expect the Buccaneers to throw a lot and Jameis Winston will have a big game with multiple TDs. The Buccaneers have shown improvement on both sides of the ball and I think they will have the edge at home in an offensive shootout. 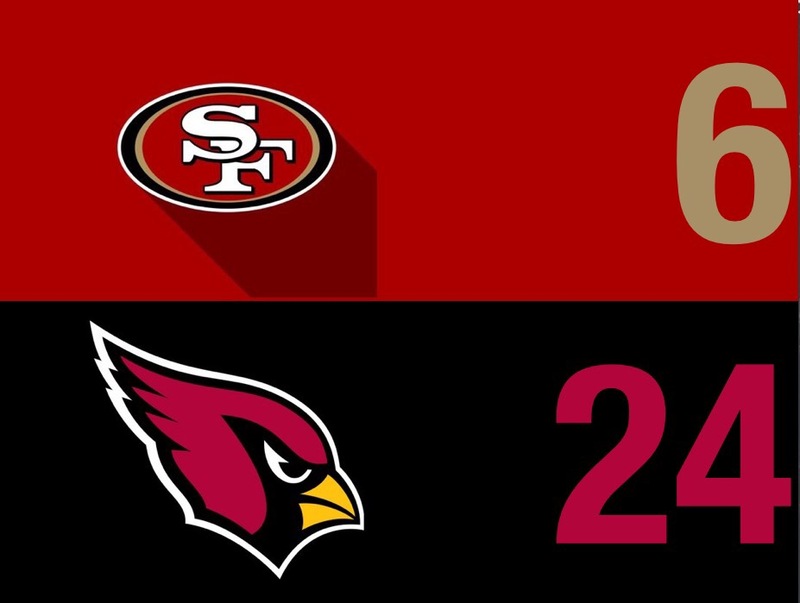 The 49ers haven’t won a game this season and don’t expect them to even come close this Sunday versus Arizona. Sure, they will do a decent job pressuring Carson Palmer who can’t move as well as he used to. But Arizona will have a balanced attack with speedy running back Chris Johnson having a big game. A big sleeper in this game is receiver is Cardinals WR J.J. Nelson. He could have a big game if he’s healthy and put up a performance more like his first 2 games of the season. Cardinals win easily at home. 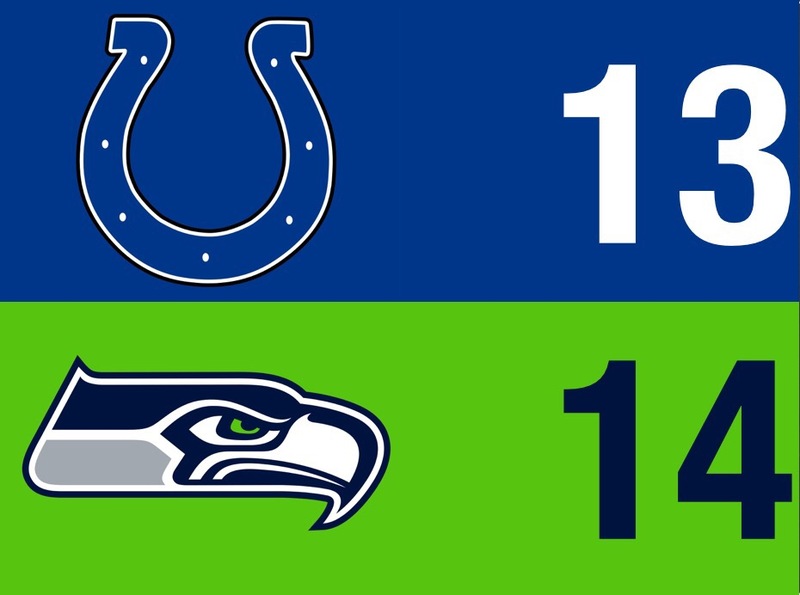 The Seahawks offense has struggled all year but I don’t think the Colts can win this game without Andrew Luck especially in Seattle, home of the 12th man. The Seattle defense is especially tough at home and inexperienced Jacoby Brissett will likely struggle. The Colts will need a big game from WR T.Y. Hilton to win but CB Richard Sherman’s physical play may disrupt his routes. Even if the Seahawks offense doesn’t score a single TD on Sunday, the Colts still won’t be able to win this game on the road without Luck because the Seahawks have one of the best defenses in the league. I would be shocked if it happened. Seattle wins in a low-scoring game. 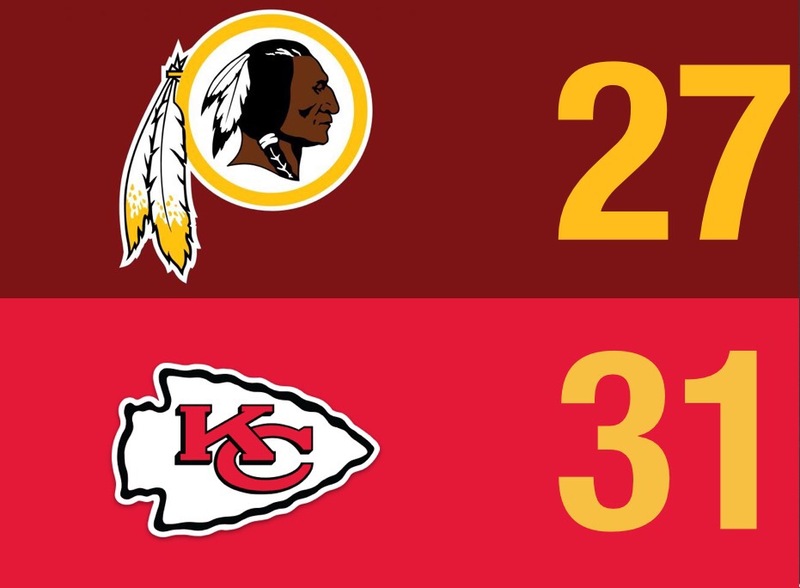 The Redskins have been alright but there’s no way they’ll beat the Chiefs at home. The Chiefs are 1 of 2 remaining undefeated teams and expect that to be the same after this game. The Chiefs RB Kareem Hunt and WR Tyreek Hill have been unstoppable, and TE Travis Kelce has also been a good receiving weapon to KC’s offense. Alex Smith is having a career year so far and the Chiefs defense has dominated despite losing star S Eric Berry in game 1 this year. The Redskins’ receivers will challenge the depleted Chiefs secondary. Redskins WR Jamison Crowder could have a big game and keep it close for this prime-time matchup. It won’t be easy but the Chiefs will win in an MNF shootout. Welcome to my picks for Week 3 of the NFL season. Last week I went 8-8, and my total record is now 17-14. This week is full of great match-ups and those match-ups could make for some close games. Keep reading for my thoughts on this week’s slate of games. Note: The teams on the top in the images are the road teams and the teams on the bottom are the home teams. 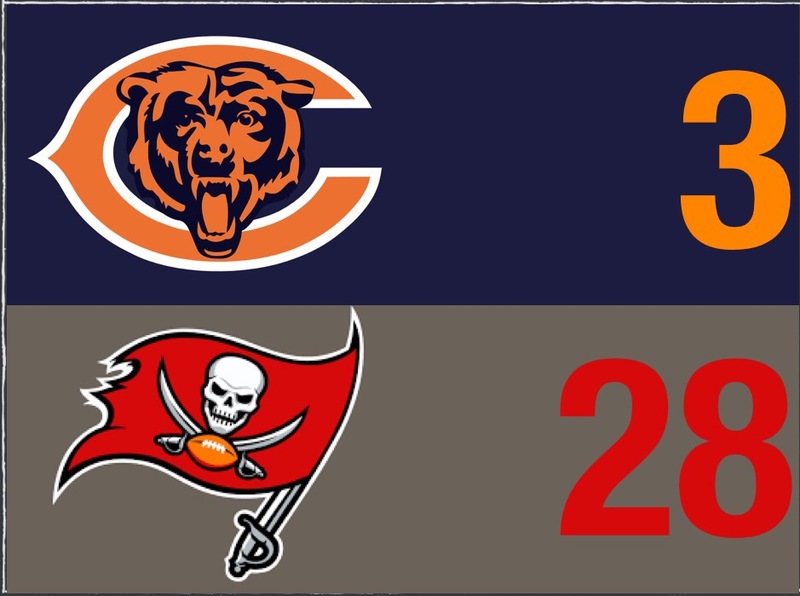 The Bears were annihilated by the Bucs last week. I expect the same thing to happen against the Steelers this week. Pittsburgh is 2-0 after crushing the Minnesota Vikings and the Cleveland Browns. The Bears will be the dominant Pittsburgh offense’s next victim. Chicago doesn’t have the best defense and their offense has been struggling without their top two receivers, Kevin White and Cameron Meredith. The Steelers have the best running back and the best receiver in the league and Big Ben is at least a Top 10 QB. I see a blowout, maybe even a shutout in this battle of a Top 5 offense and a Bottom 5 team. Steelers win this one easily. Atlanta has done well so far this year but soon enough they might have a rude awakening. They aren’t going to repeat last season’s Super Bowl appearance as I don’t know how they even were able to get through a very tough set of NFC playoff teams. The young Lions offense is as good as Atlanta’s offense and they have more depth too. Kenny Golladay has blossomed into a superstar. This will be a very high scoring game but in the end I’m calling the upset here. 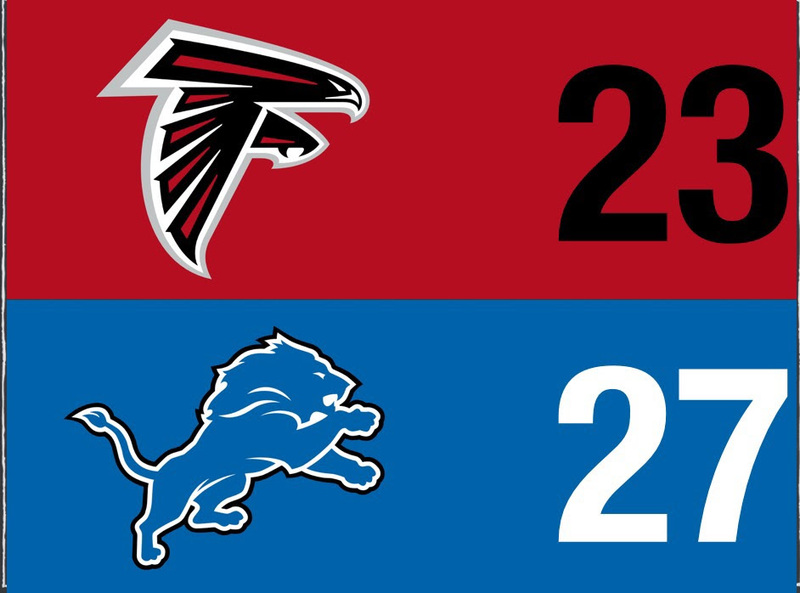 The Lions will surprise the Falcons for their third win in a row to start the season. Detroit might not be the best team but they have the tools to get some impressive wins throughout the season, even if they don’t come through every game. About 6 months ago, I would’ve called this a snooze-fest that goes to the home team. But the Rams offense has really improved since acquiring Sammy Watkins and Derek Carrier as well as drafting Cooper Kupp and Gerald Everett. Todd Gurley is looking as good as he did in his rookie year and Jared Goff has improved a great deal as QB. The 49ers haven’t caught up to these Rams yet although it may happen soon. The 49ers still lack the depth they need on offense and their defense doesn’t really match up to LA’s, especially with Aaron Donald back. I’ve been impressed enough by the Rams that I would say this could be a dominant win. 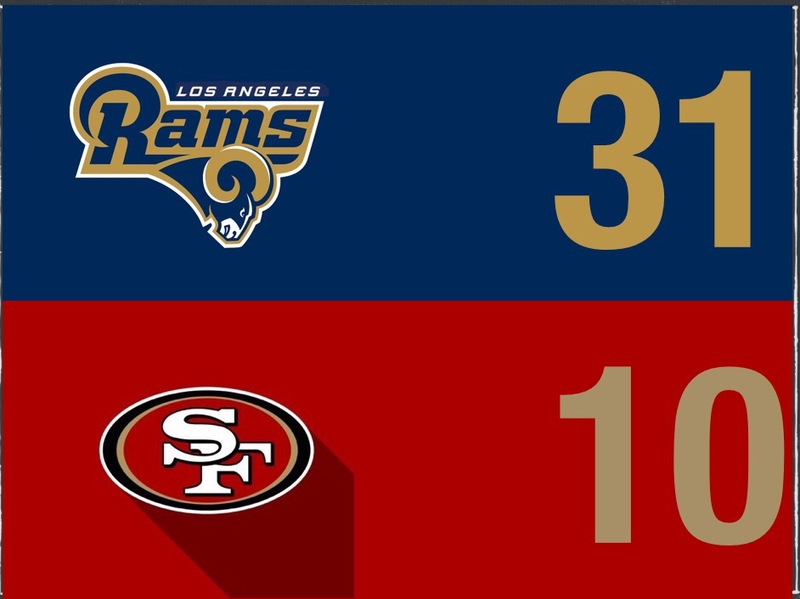 The way the Rams have been playing, I see them scoring at least 3 times more than the Niners. This should be a good match-up. 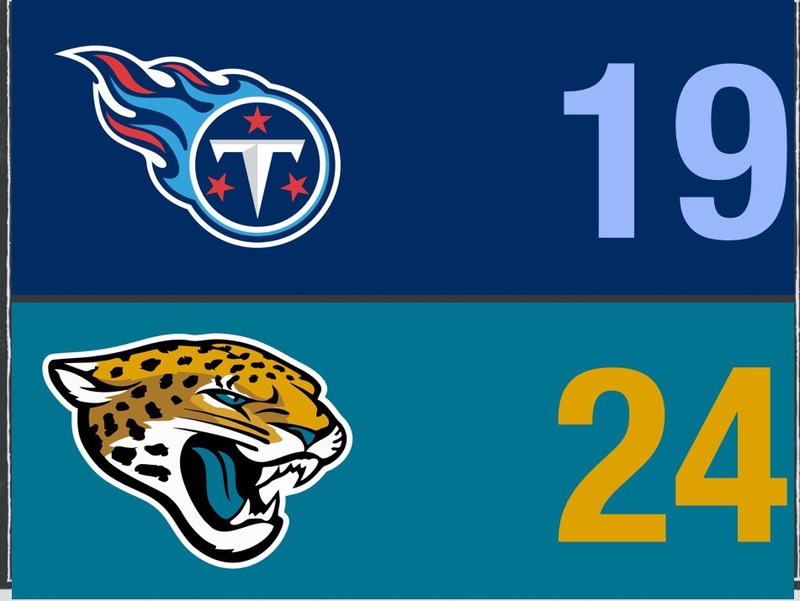 The Jaguars have been up and down so far getting blown out by the Titans following their big week 1 win in Houston. The Jags proved that they can compete. 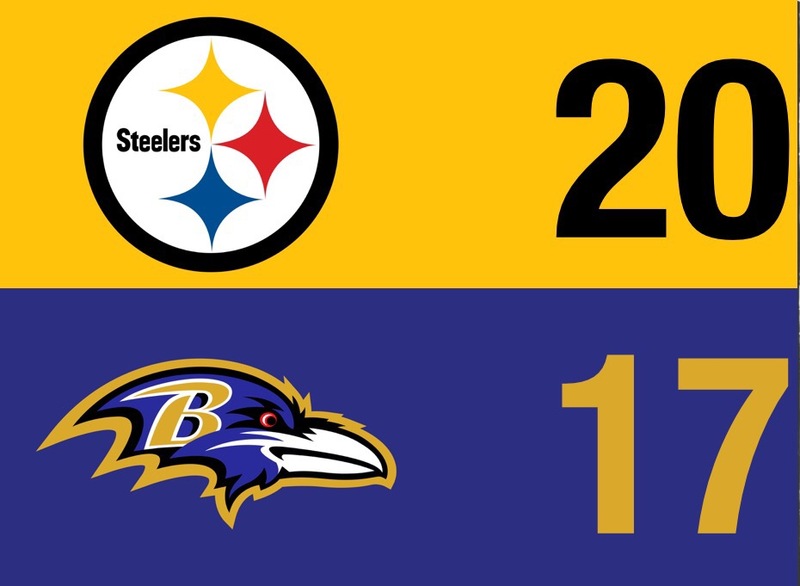 The Ravens have also surprised many so far and maychallenge the Steelers for the AFC North title. Both the Ravens and Steelers are 2-0. Baltimore has one of the best defenses in the NFL and that will be tricky for Jacksonville especially without Allen Robinson. This will be close though. 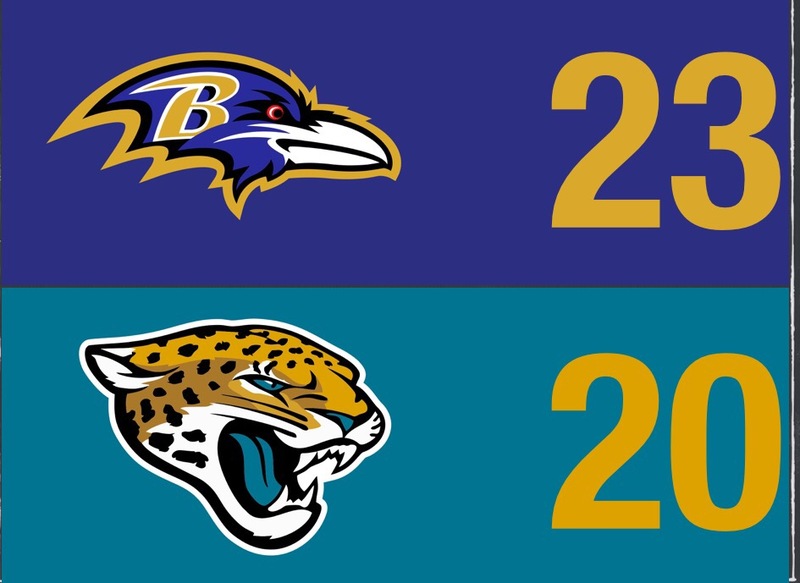 The Jags defense is improving and you could say the Ravens offense needs work. But the Ravens have more talent right now offensively and that will be the difference in this game. I give the edge to the Ravens because the Jags ‘home field advantage’ won’t mean much as this game will be played in London. The Pats rebounded on Sunday from a tough Week 1 loss to KC. But the Pats offense took another big hit as Gronkowski hurt his groin in the 3rd quarter of last week’s game. If he’s truly healthy and “good to go”, the Pats will dominate. Otherwise, it could come down to the final minutes. 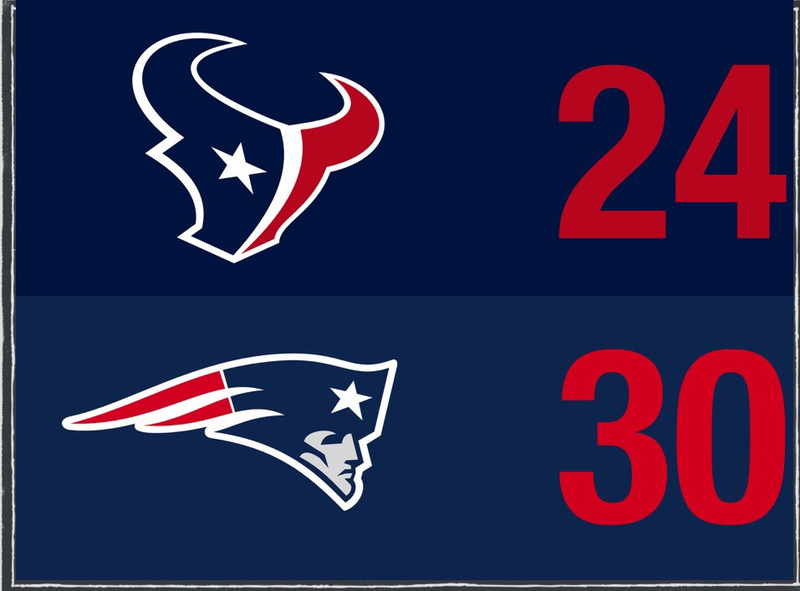 Luckily for the Pats, the Texans don’t have as good an offense as New England’s opponents from the last two weeks so it shouldn’t be as tough for the defense this week. The Pats young defensive line could have a big day as Houston’s O-line has struggled mightily. Look for Bill Belichick and Matt Patricia to confuse another rookie QB and force him into making bad decisions. However, the Texans have one of the league’s top defenses. Even with Brian Cushing out the Pats could have a tough time producing offensive plays especially without Edelman and a less than 100% Gronk. Tom Brady will be under a lot of pressureand this front seven knows how to stop the run. Even though Gronk is expected to play, the Pats could be in some trouble as Marcus Cannon will not play so Brady might not have the time to find his receivers. Gronk has big financial incentives based on his performance and sure handed Amendola will be back as well so I think Brady and the Pats will find a way to beat the Houston defense especially at home on the newly laid turf. 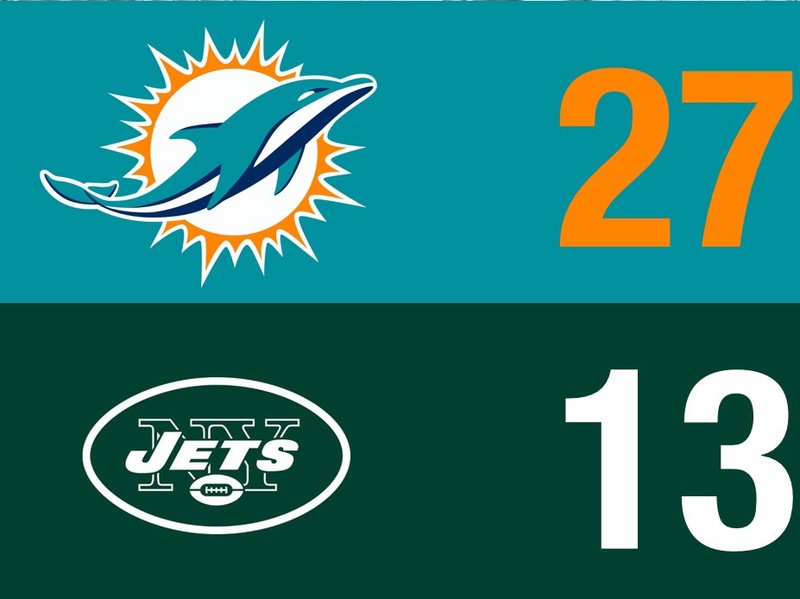 The Jets will be lucky to win a single game this season and last week the Dolphins proved that they are as good as they were last year with Cutler performing just as well as Tannehill. Some might even argue that their Defense has improved too. They should be able to beat the Jets who lack weapons and depth both offensively and defensively. With the Jets playing at home, I’m expecting a little more out of them than in the last two weeks but the improvement will not be significant enough to beat Jay Cutler and the Miami Dolphins. 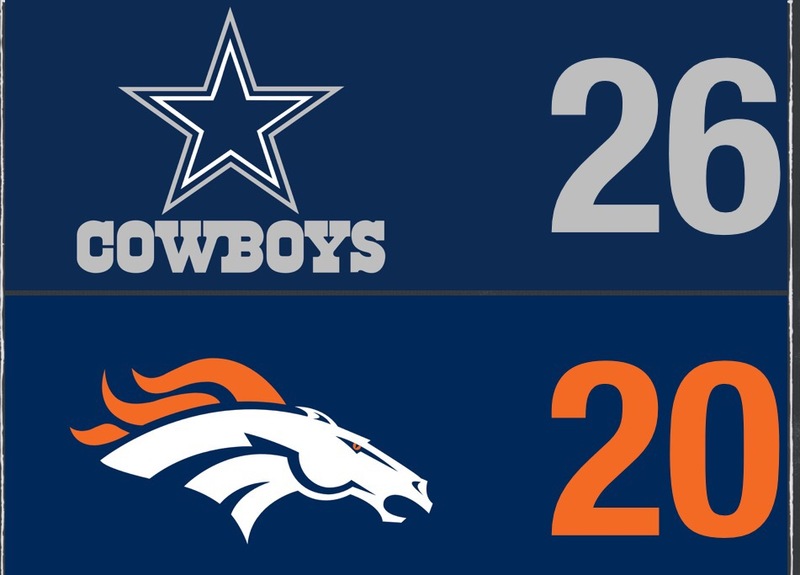 The Broncos are coming off a huge home win against the Cowboys and surprised many including me who thought they were nowhere near as good as their Super Bowl team of 2015. Even on the road the Broncos should be able to beat the Bills. The Bills may have a strong offense but their defense is not even close to the big D Denver has shown in their first 2 weeks. 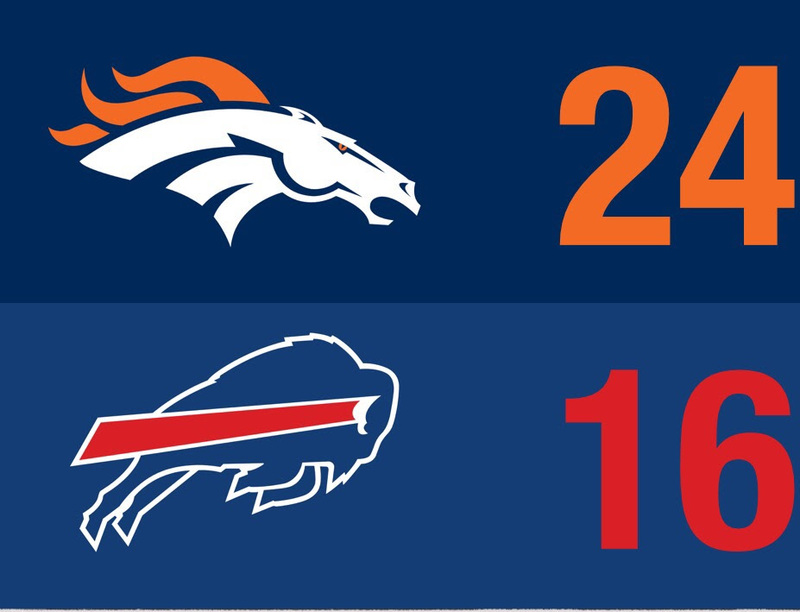 I believe the Broncos defense is good enough to hold the Bills offense under 20 points. Buffalo doesn’t have that kind of D so even if Siemian has an average game, the Broncos should be able to grab the win with the receivers they have. With Andrew Luck out, it’s clear that the Colts are going to lose at least a few games to begin the season. Luck has already been ruled out for Week 3. The Browns are actually a lot better than last year. RB Isaiah Crowell has been really good and TEDavid Njoku could become a dangerous weapon that teams will have to game plan for. In addition, the Browns have young rising stars at WR like Rashard Higgins. Although the Colts have a good offense, it’s not the same without Luck. Cleveland’s QB Kizer should be back this week butIndy will have to rely upon Brissett under center. 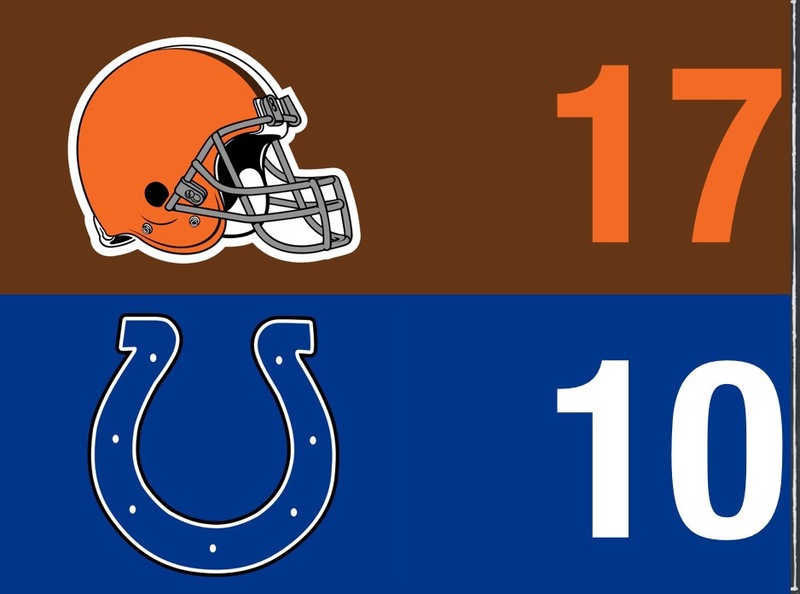 I know it’s hard to imagine the Browns winning on the road but Indy’s key injuries are just too much and I see the Browns winning by a touchdown. The Lions stunned the Giants in New York on MNF and now the Giants must try and steal a win on the road against a tough division rival to avoid starting the season with 3 straight losses. 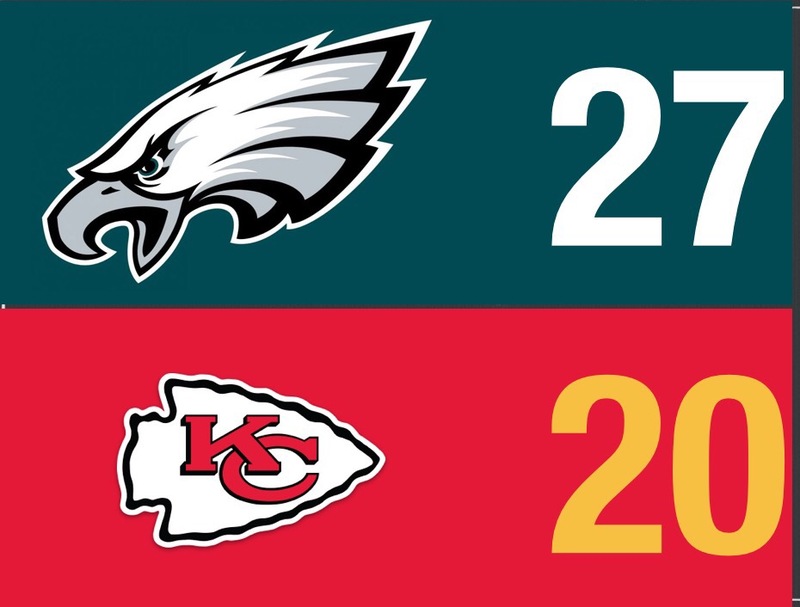 On the other hand, the Eagles had a strong Week 1 and nearly upset the Chiefs in Week 2. The Eagles play the same kind of complementary football that the Lions do and right now I see them as frontrunners in the NFC East for that reason. The Giants are strong on both sides of the ball as well but this year’s offense has struggled so far this year and the defense hasshown its problems as well. This will be a hard fought battle but I give Philadelphia the edge at home. The Buccaneers have looked like the best team in the NFC so far even though they have only played one game. They have a great all-around team and the Vikings just don’t match up. Offensively, the Vikings just don’t have the weapons to take on aBucs defense that held the Bears to 7 points. 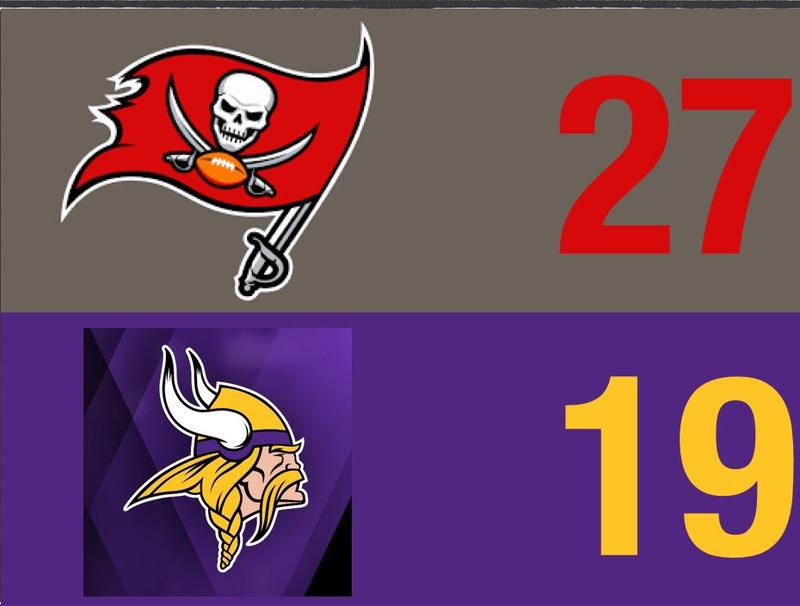 The Vikings defense is good but they have their toughest match-up yet in the Buccaneers as QB Winston is growing into a legitimate super star. The Bucs will win this one and continue to look really good in the process. A 2-0 start should give the Bucs more confidenceto keep improving and become the 12 to 13 win team I project them to be. Carolina looks like the dominant NFC South team after two weeks. They did have it easy to start the season but the Saints aren’t going to be that much tougher. This Saints offense has been pretty good even without Willie Snead but the Carolina D will be too much for them. Cam Newton could wreak havoc on the Saints D that struggled against another high powered offense last week (the Pats). The Panthers have a great front seven that should prevent the Saints versatile RB from getting into a rhythm. Especially at home, the Panthers should win this game but it won’t be easy because these division rivals always find a way to keep their games competitive. This game could be an shootout based on the fact that both these offenses are stacked. The Seahawks nearly lost last week to the 49ers. Leaving the comforts of home for a tough road game in Tennessee may leave the Seahawks at 1-2. 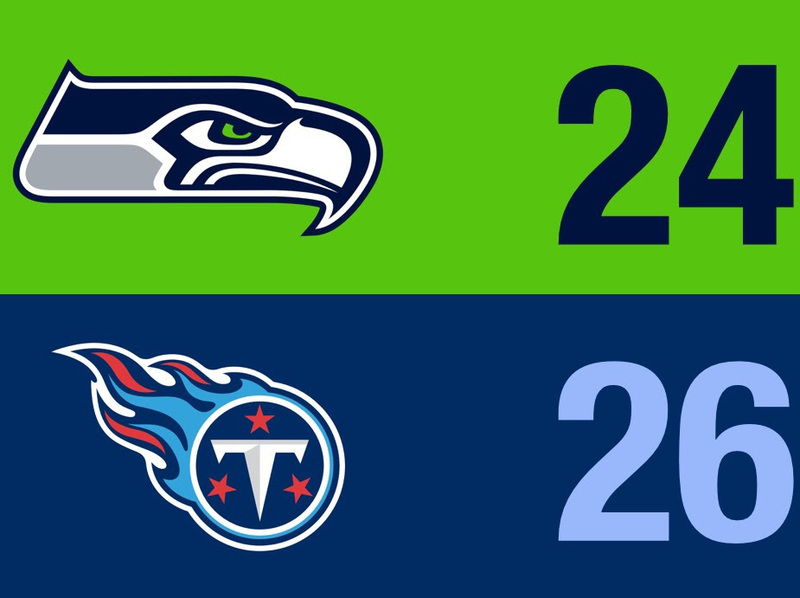 The Titans have a great offense that could challenge the Seattle D, and the Seahawks lack the depth on offense to score much on the Titans mediocre D. The loss of RB Lynch is proving to be greater than many expected as Seattle’s offense has looked flat and only scored 1 TD so far. I doubt Seattle will win this game but they could come close as coach Pete Carroll should have his team pumped and ready to avoid starting the season with 3 straight poor performances. This will be a close game. But in the end, I have the Chargers winning at home. LA did lose last week to Miami in a close one but I expect them to be ready at home for this tough division rival. The Chiefs offense has rookie RB Hunt playing better than many expected when Ware went down for the season. KC is also using return specialist Hill in the offense more and KC has started the season with 2 good win against the Pats and Eagles. In order the win, the Chargers need their offense to be at full health and in full swing to beat a KC defense that has performed well with a healthy Justin Houston. The Chargers also need to find a way to stop the Chiefs dangerous deep threat Tyreek Hill. It won’t be easy but my gut tells me the Chargers find a way to win this big division matchup at home. Green Bay lost both Jordy Nelson and Randall Cobb to injuries last week. How are they supposed to win this week? Well, Nelson does have a 50/50 shot of returning this week and Cobb is listed as day to day. They’ll also be playing a washed-up Cincinnati offense so their defense may not be challenged as much this week. The Bengals are also deprived defensively after Vontaze Burfict’s suspension. With or without their top receivers, the Packers will find a way to win this game. I think Nelson and Cobb could play and if they do it might be a blowout. Either way, Packers win. The Raiders have looked even better than their 2016 team. 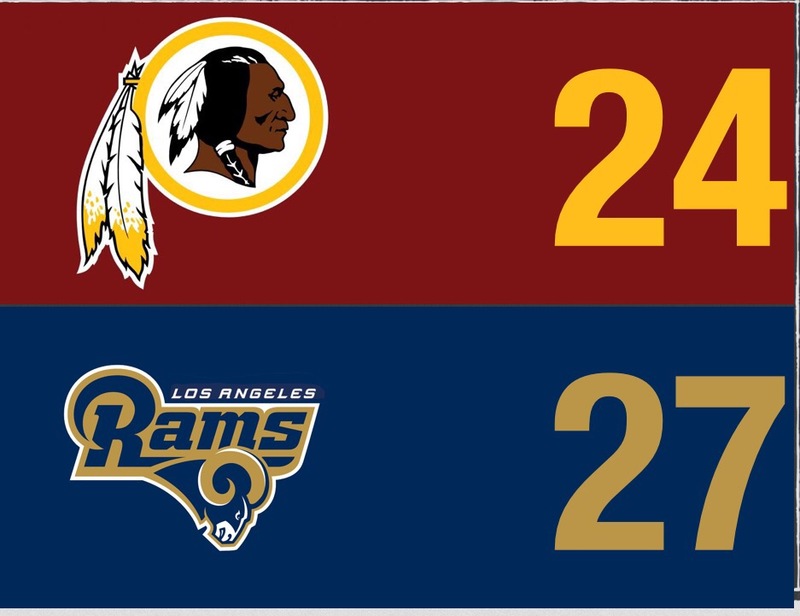 The Redskins did beat the Rams last week but they have struggled at times in their first 2 games. The lost 2 top WRs to free agency this past year in Garcon and Jackson. Their defense has not performed as well as in recent years and may need more time to come together. The Raiders have looked like one of the best offenses in the league with their top 2 WRs playing like all-pros. On defense their front seven has been dominant led by another great start by Khalil Mack. The Raiders should win this game with easeeven on the road. 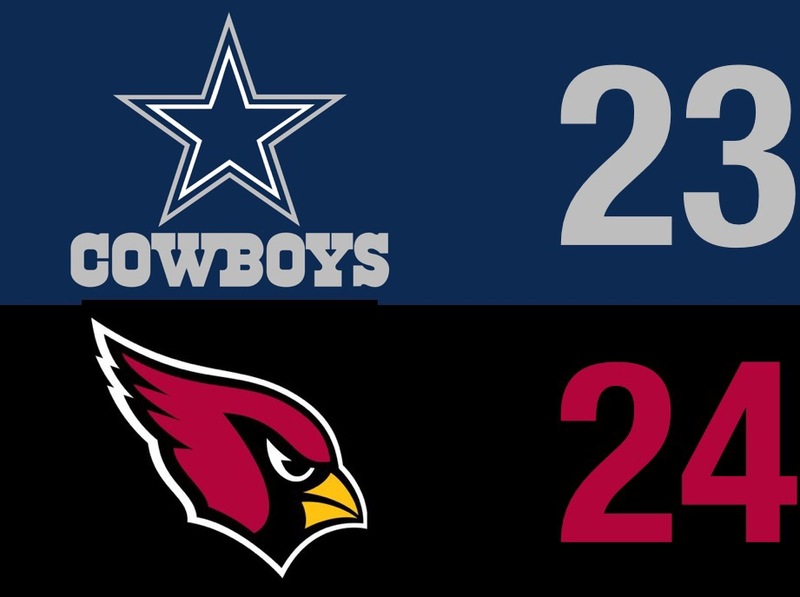 The Cardinals looked good after beating the Colts last week and Dallas looked lost against a tough Denver D last week. Yet the Cowboys are favored by 3 on the road because this team has too much talent to put up 2 straight poor performances. The Cards might be without David Johnson but Chris Johnson is doing a good job in his place. Larry Fitzgerald is still an elite WR and even though Palmer’s been struggling, I expect him to play better at home. Dallas can score but their secondary remains a big question mark. While I see the Cardinals defense trying to replicate what Denver did to keep Dallas off balance. This will be a very competitive Monday Night game where I see the Cardinals pulling off an upset at home. That’s all for my picks this week. Feel free to comment your thoughts on any of the games. Another week of exciting football is almost here! But unless you’re a fantasy football fanatic like me, watching NFL RedZone from 1-8 each week, or are a diehard fan of one team that plays at an off time, the one thing you don’t know is which games to watch! Even if you are a diehard fan or fantasy football fanatic, there will be extra time to watch another game during Football Sunday. That is the purpose of this article. Who’s ready to dig in? Each week, I will go over five of my favorite matchups. I will provide detail about each matchup so you know which game is for you. It’s an extended preview beyond my NFL Picks for my five favorite games. The Jaguars absolutely dominated the Texans last week and the Titans fell short at home against Oakland. Week 1 showed the Titans aren’t necessarily up there with teams like Pittsburgh, Oakland, and Kansas City, and it also shows that the Jaguars are legit. Will the Jaguars be a fluke as the Titans show what they can do, or will Jacksonville continue to thrive in the AFC South? The Titans can’t let the Jaguars defense control them. They have a very good offense, led by QB Marcus Mariota and RB DeMarco Murray. But they will continue to struggle if they let defenses contain them. They also need to take advantage of the fact that the Jags lack depth at receiver. Allen Robinson is out for the season. If nobody steps up in his place, the Jags will have an ugly season. The Jags need someone to step up at receiver. They have no good tight ends, and right now Allen Hurns looks like their only viable option at receiver. They need somebody to step up. Maybe Marqise Lee will? If he doesn’t, who will? Dede Westbrook is on IR. They also need to stop the run. Tennessee has a great run game. But if the Jacksonville front seven can get in their heads, they will struggle. With Dede Westbrook on IR, who will assist Allen Hurns at receiver for the Jaguars? What is the weak spot of Jacksonville’s D and will the Titans take advantage of it? The Titans have a lot of good players, but who will play like their superstar this week? The Jags are running out of options here. Could Max McCaffrey do big things? If not, can Marqise Lee be their guy this season? Hopefully, they can survive until Westbrook returns. It’s hard to find a weak spot in this improving Jacksonville D, but the Titans should look to take advantage of the Jags d-line. The Titans have plenty of budding stars on their team, but this week, I think veteran tight end Delanie Walker will be their go-to guy. Leonard Fournette could be the Jags’ biggest weapon this week. Chris Ivory will also continue to get touches. I think both of them could be in for big games today. It’s a pretty good match-up for them, the Titans lack a good front seven aside from defensive tackle Jurrell Casey. This could be a very good game. The Eagles looked great after a blowout over the Redskins, and the Chiefs look like one of the best teams in the AFC after pulling an upset over the Pats. Will Carson Wentz and his offense keep flying, or will the Chiefs bring them back down to earth? Carson Wentz can’t let the Chiefs pressure him too much. The Chiefs defense knows how to rush the passer. If Wentz can’t overcome a pesky Chiefs defense, the whole Eagles offense could fall apart. The Eagles can’t allow any 75-yard TDs like the Pats did. Kareem Hunt and Tyreek Hill can be very dangerous for defenses. They are both very fast. Fast enough that they can speed past the entire defense. Whatever Kareem Hunt and Tyreek Hill had going last week will need to continue this week. The Chiefs may be lacking offensive depth, but they don’t need it as much if Hill and Hunt can supply them with all the offense they need. With Eric Berry hurt, the Chiefs need to find a new defensive leader. Justin Houston is a sack machine, but will he thrive in a defensive leadership role? Will the Chiefs miss Jeremy Maclin after this week? Who will emerge as Carson Wentz’ favorite target? Which defense will have the better game? I think the Chiefs will miss Maclin pretty soon. I don’t care if Hill and Hunt are superstars, they will burn out eventually. I think new receiver Alshon Jeffery will have a big week and emerge as Wentz’ favorite target this season. Lastly, I think the Eagles defense will have the better game. The Chiefs defense need a new leader. The Eagles have a dangerous front seven that could really make Kareem Hunt look like a fluke if they do well. Wentz really looked like an elite QB last week, and I expect that to continue throughout the season. I think he will really develop as a QB this season. This could actually be a close game. Both these teams are coming off wins, but they were both against bad teams. This game will really test if these teams are for real or not. Who’s the contender in this match-up, or are both teams really pretenders? The Bills need to take advantage of the Panthers’ biggest weakness: their secondary, but do they have the receivers to do it? The Bills also need to keep Greg Olsen covered well. His performance can really decide how the Panthers offense does. The Panthers need to look out for LeSean McCoy. They have a great front seven so it shouldn’t be too difficult. They also need Christian McCaffrey and Curtis Samuel to be at their best. The rookies on this offense could be the difference in who wins this game. Who will lead the Panthers in receiving this week? Will anyone have a 100-yard game? Will LeSean McCoy be able to score a TD against this Panthers defense? Will the Bills defense cost them the game if they can’t keep the Panthers offense under control? Greg Olsen is going to have a big week for Carolina, I think he leads in receiving. On the other hand, I don’t think LeSean McCoy will be able to score on Luke Kuechly and the Panthers front seven. Lastly, I think there’s a chance the Buffalo offense will be able to save them in this case but it’s very unlikely. Jonathan Stewart and Christian McCaffrey are both great running backs, but they’re not the only ones I see having big rushing games. Curtis Samuel and Cam Newton can both run the ball so it won’t be as hard as it seems to rush for 250 yards. The Dolphins will make their debut away from home as they visit the Chargers in LA. With Tannehill out for the year, the Dolphins are not as sharp as they have been. In the meantime, the Chargers could be in line to be better this season if they stay healthy. In the end, these two things could combine to make this a very close game. Who will come out on top? With Tannehill out, running back Jay Ajayi needs to step it up. The Chargers defense isn’t that good so it might not be as hard as it usually is this week. The Dolphins need to rush the passer. They have a great defense, and stopping Philip Rivers is the key to slowing down the LA offense. 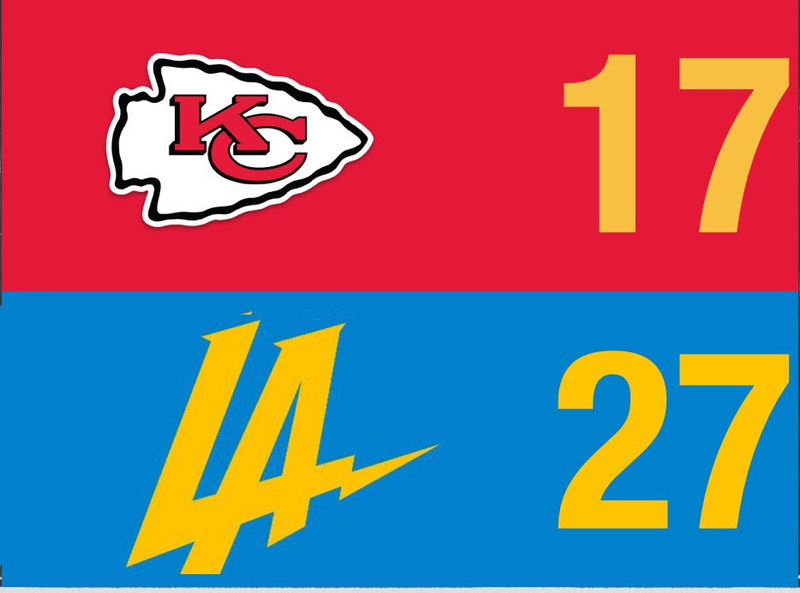 The Chargers need to mix up who they throw it to. They have so many good receivers and they can confuse the Dolphins secondary by doing this. They also need to contain Jay Ajayi. Ajayi was a machine at times last season and he might be even more effective with Tannehill out. Will Jay Cutler make a good connection with DeVante Parker like he did in the preseason? If this happens, will Jarvis Landry struggle? Which third-year running back will have a better day, Jay Ajayi or Melvin Gordon? Do the Chargers have enough depth at receiver without Mike Williams? I think Cutler will continue to connect with Parker, and Landry will not benefit from this. In my opinion, Jay Ajayi will have the better day, but this is all about the match-up. Melvin Gordon is facing one of the better run defenses in the league. Lastly, between Antonio Gates, Hunter Henry, Keenan Allen, Travis Benjamin, and Tyrell Williams, I think the Chargers have plenty of receiving options. Mike Williams will just add to that when he returns. I think Rivers is set up for success if he takes advantage of the Dolphins’ weak secondary and his great group of receivers and tight ends. Sunday Night Football tonight could very well be the game of the week. This is a clash of two great offenses that just faced off in the 2016 NFC Championship. Each of the last two times these teams clashed, the Falcons won. Will the Falcons make it a streak, or will the Packers give them a rude awakening? The Packers need to find their run game and avoid being stopped by Vic Beasley and the Falcons front seven. Hopefully, they’ll still be able to score rushing TDs without Eddie Lacy, James Starks, and Christine Michael. They also need to pressure Matt Ryan. Matt Ryan isn’t the same elite QB when he’s pressured well. With how inconsistent he is, it’s doubtful he’ll win MVP for the second straight year or even come close. Whatever the Falcons had going on offense last year needs to continue. Last year’s Falcons offense was one of the best in the league. Will that continue into this season? The Falcons secondary needs to keep Jordy Nelson and Martellus Bennett covered. Aaron Rodgers has some great receivers that could score multiple times if they aren’t covered well. In their first real challenging match-up, will the Falcons offense look better, worse, or the same as they did last season? Which receiver will make a big impact for the Pack in this game? How will the Green Bay run game look? I think the Falcons offense will be about as good as they were last season, not much better, not much worse. They should be good enough to get them into the playoffs but not as far as they did last season. I think both Nelson and Bennett will make a big impact for the Packers in this game, especially if the Falcons fail to cover them. 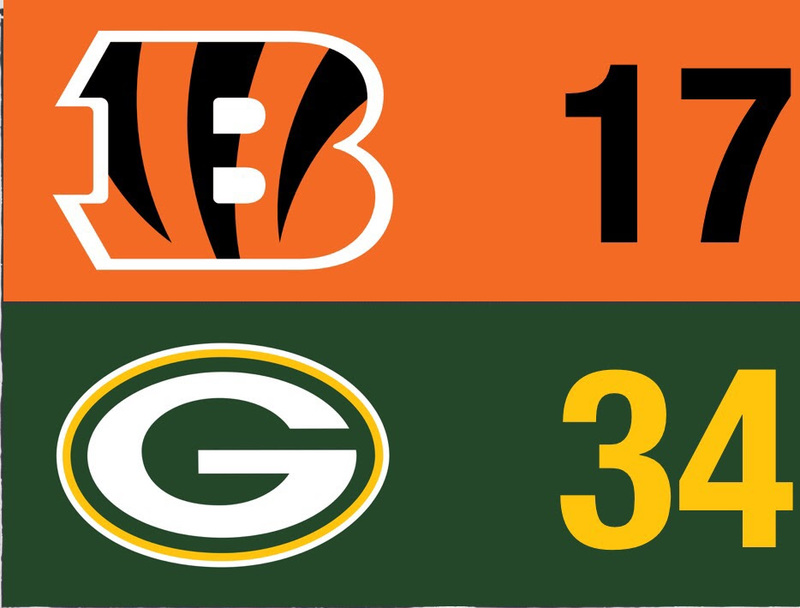 I don’t think the Green Bay run game will look that bad, and I’ll explain why in my bold prediction. He’s the reason why the Packers run game won’t be all that bad. I think he’s a very intriguing rookie RB, one of many in the league. By the end of this game, he will have stolen the starting job instead of Ty Montgomery. That’s all for this week. Comment what your favorite match-up of the week is. Stay tuned for more NFL and Pats articles, including a recap of today’s Patriots game. We are one week into the season, and it has already been crazy. The Jags are legit. The Patriots lost! The Bears and Browns nearly won! However, in the end, I came out with a 9-6 record, better than Pete Prisco of CBS Sports. Today we will be looking at my picks for week 2. 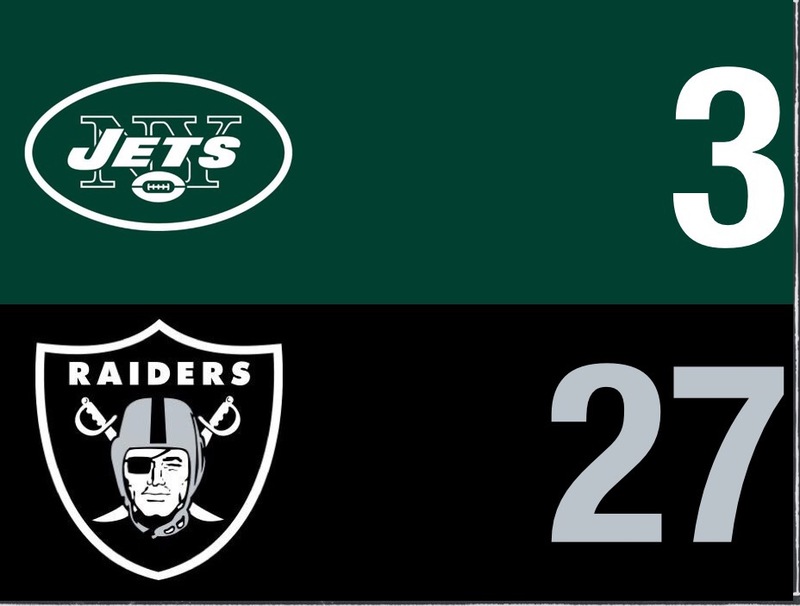 If I told you in 2015 that in a couple years, the Raiders would cream the Jets, you wouldn’t believe me. The Raiders were terrible a few years back, and the Jets were turning it around with Todd Bowles taking over. Now, the Jets offense is a complete mess and the Raiders offense is as good as ever. What Oakland did last week shows that they’ve only gotten better. The Jets don’t have a chance this week. In my opinion, this will be one of the multiple blowouts this week. The Raiders have a powerful offense and a pesky defense. The Jets entire team is falling apart as they have no QB, no receiving weapons, and no secondary. 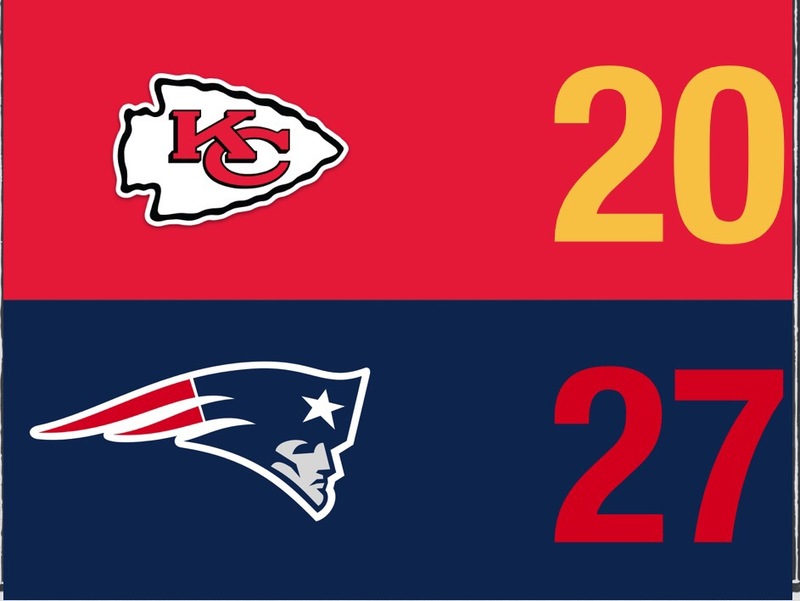 Although the Chiefs looked good last week after schooling the Pats, I think it could be ugly this week. They’re the kind of team that could suffer from inconsistency week to week. The Eagles offense has definitely gotten tougher, so they should be a challenge for the Kansas City D that lost standout S Eric Berry. In addition, Kansas City has even more of a depth problem on offense than they did last year, and that won’t help against a good Eagles defense. The Chiefs look like the favorites at home but I believe the Eagles will surprise people this year starting with an upset against the Chiefs. Both of these teams were equally bad last week. Tom Savage looked lost and was ultimately replaced by Watson after being sacked 6 times. 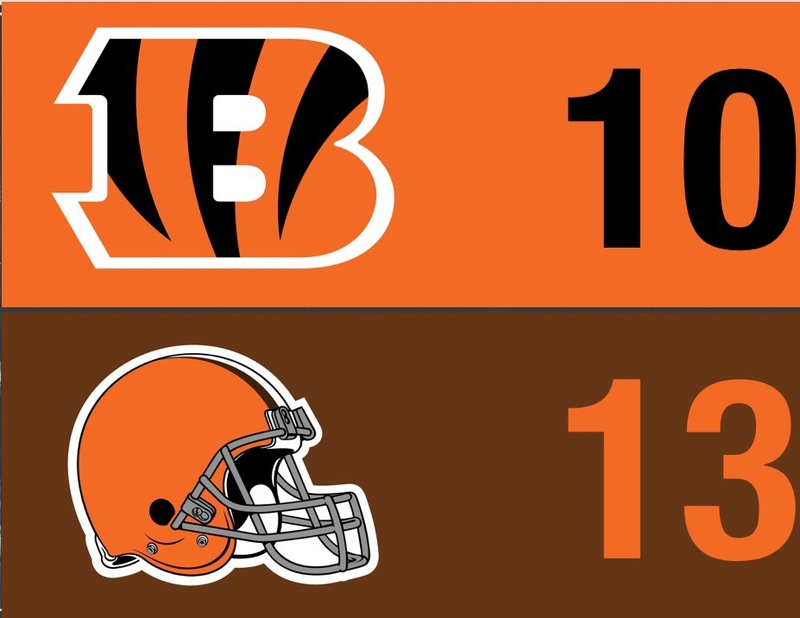 The Bengals offense has not scored a point. But this week I see Cincy winning the battle of two sub-par offenses. Without Brian Cushing and with JJ Watt a little banged up, the Houston D isn’t at full health right now. 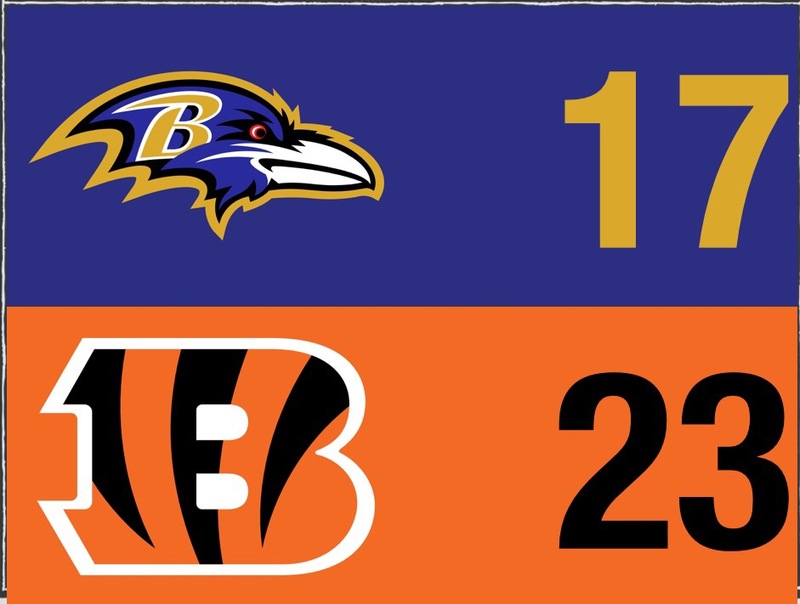 While the Bengals defense hung in there only giving up 20 despite being on the field for 34 minutes. 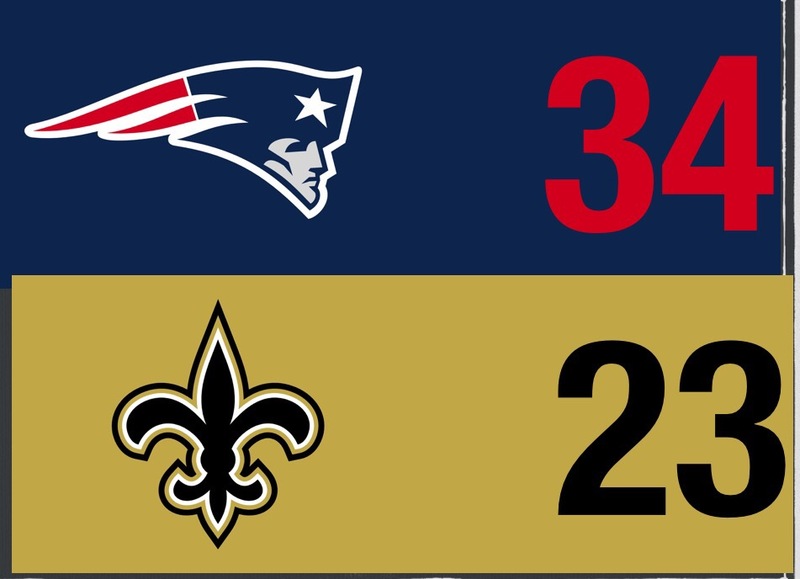 If you’re a Pats fan like me, last week was devastating to watch, especially the 21-0 4th quarter. However, as many have noted, the Pats needed that embarrassment and better now than later in the season. The game was a wake-up call and silenced all the talk about a 19-0 season. As Super Bowl champs, they should expect everyone’s best and that wins will not come easy. Pats fans take note that the team has won 3 Super Bowls in season’s in which they lost in Week 1 and have not been 0-2 since 2001. I think this offense will be motivated to prove Pats haters wrong this week and Brady rarely has two bad performances in a row. Brandin Cooks will also be motivated to show his former team they should not have traded him. I don’t believe the Pats will lose 2 weeks in a row. Although they’ve been hit hard by injuries, I think their active players are going into this game both physically and mentally prepared to play like defending champs. 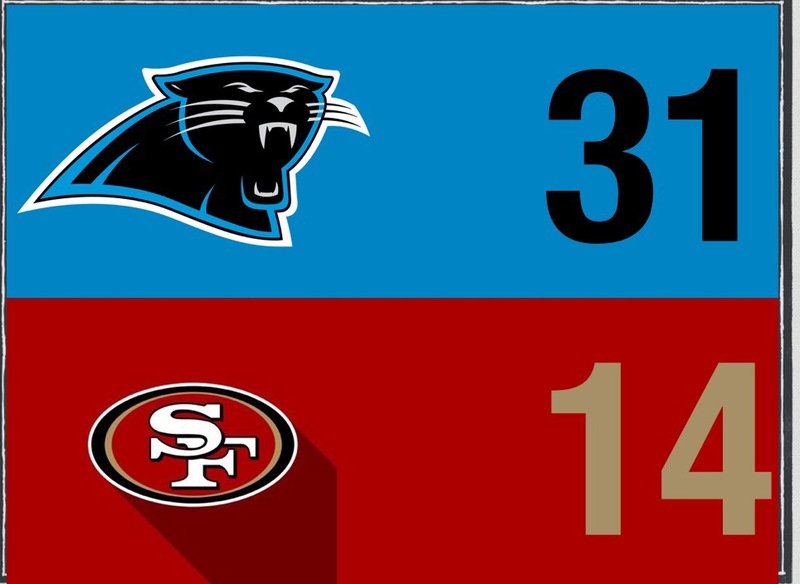 The Panthers held on for a nice win last week and I think it will happen again. The Bills do have a strong offense this season but the defense is a serious problem that the Panthers will take advantage of. As for the Panthers D, the front seven is amazing and I don’t think LeSean McCoy will score a single TD. 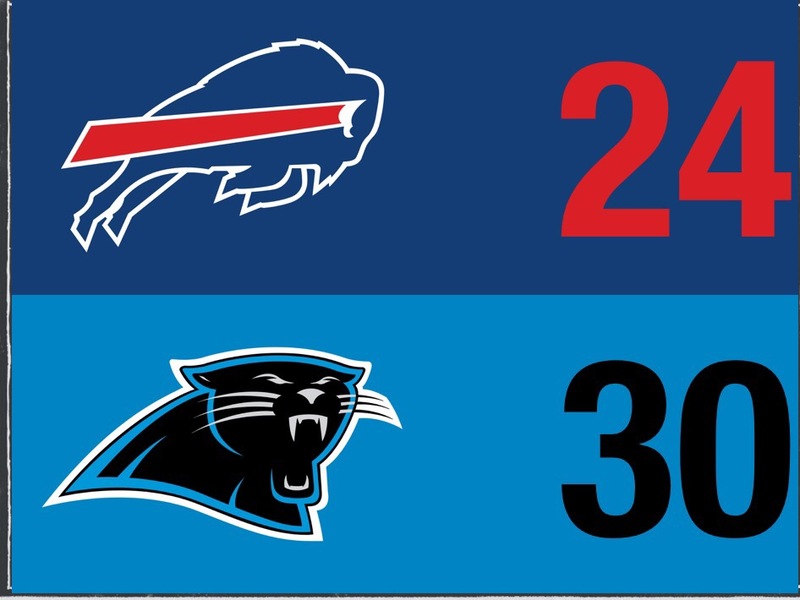 However, the Panthers still need work on their secondary so the Bills will get some TDs through the air. In the end, these two teams even out pretty closely. 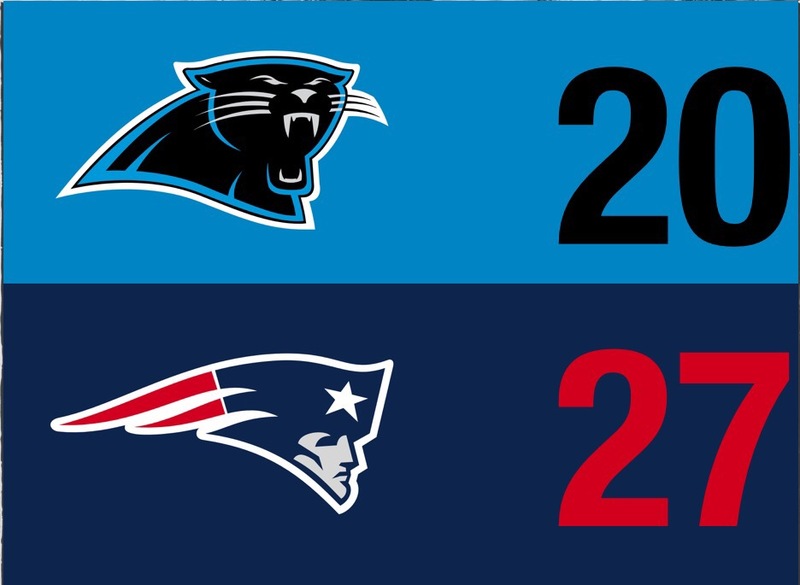 I think the Panthers will win in OT. 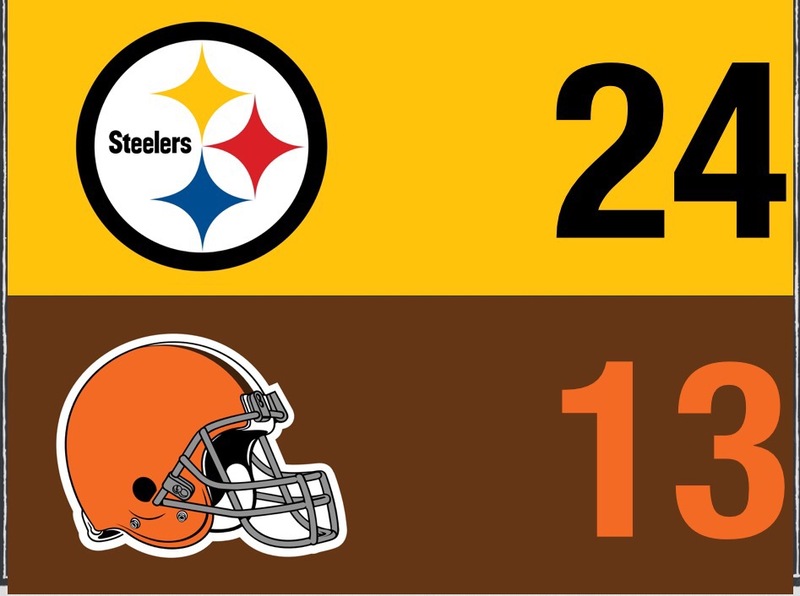 The Browns didn’t win last week but they came close against the Steelers in Cleveland. They are definitely better this year and the Ravens aren’t as good as Pittsburgh. But I don’t see the Browns winning a road game this season. 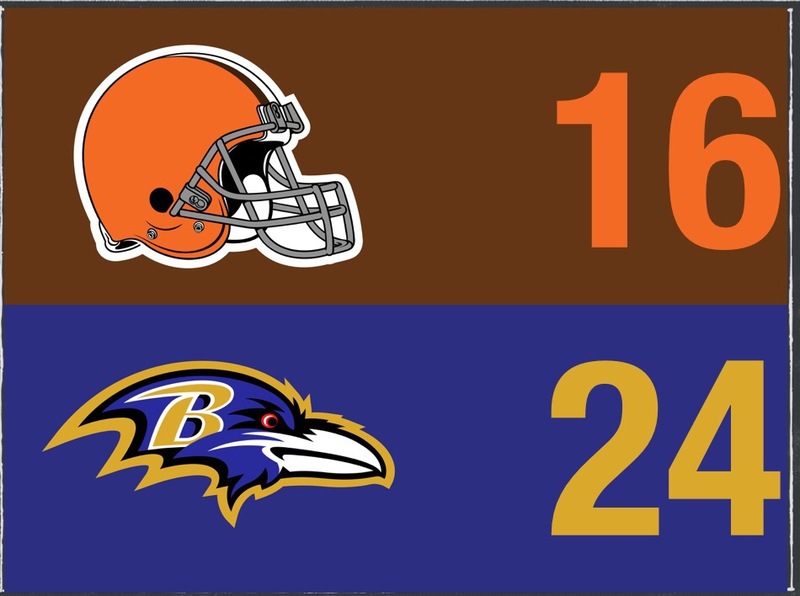 The Ravens looked good all-around last week and they should be able to beat Cleveland especially at home. The Browns offense may be pesky but it’s not a problem at all for the Ravens’ strong defense. The defense in Cleveland has many holes and lacks depth so I don’t see them having much success against the Ravens. However, I don’t expect the Browns to go 0-16 but rather be more competitive and possibly win more than last year. The only real candidate to go 0-16 this year is the Jets and few would argue with me on that, even Jets fans. The Vikings have a great defense once again this year and their offense is really intriguing despite a lack of depth. But they are no match for the Pittsburgh Steelers at home. The Steelers have the Dream Team offense and a defense that at home can wear down almost any team. The Steelers young secondary has begun to improve and their front seven has been great. 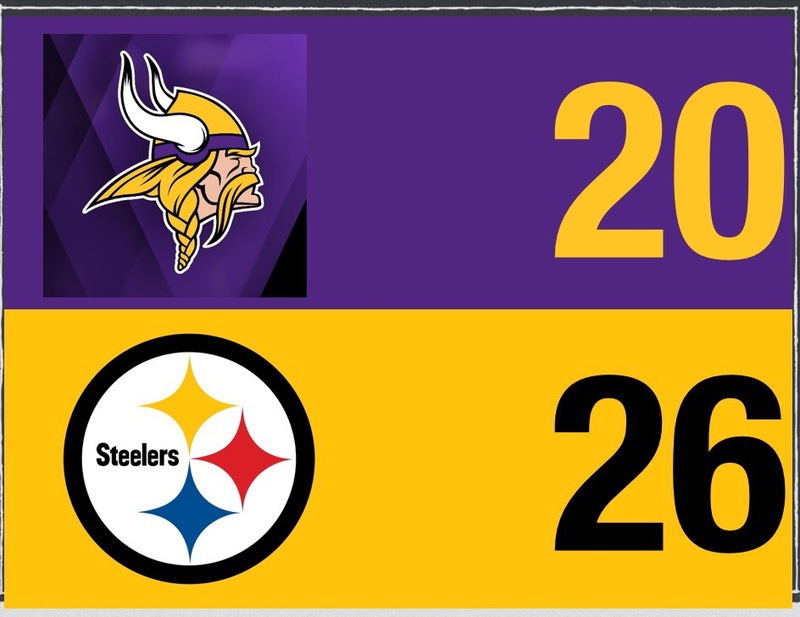 So I don’t expect the Minnesota Vikings to beat the Steelers, especially in Pittsburgh. Steelers cruise to a win. The Jags are legit. I know they lost Allen Robinson but they have a great defense and they have depth on offense. Look out for sleepers like Dede Westbrook to have a big game. 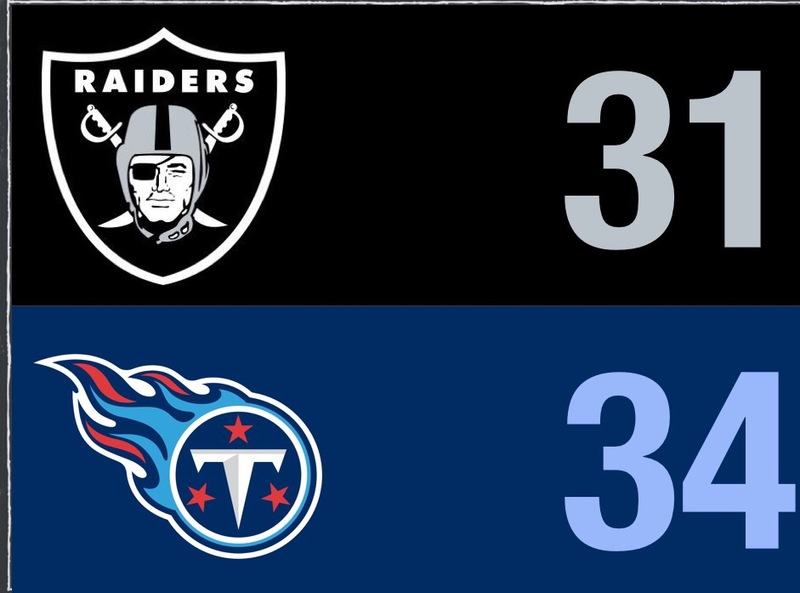 The Titans looked overmatched losing at home against Oakland last week. I don’t see the Titans beating this Jaguars team in Jacksonville. 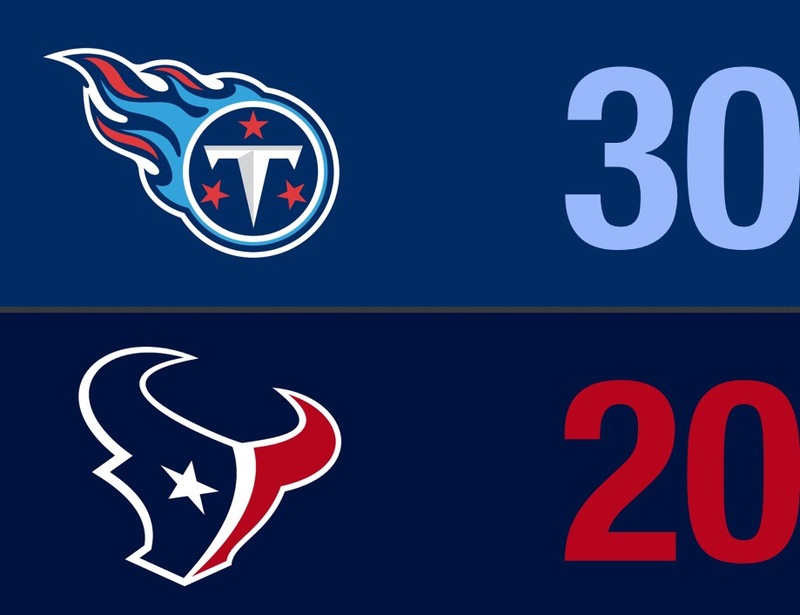 I wouldn’t be surprised if they crushed the Titans just as they did to the Texans. Andrew Luck has been ruled out again for Week 2 but I think any QB will be better than Scott Tolzien, even inexperienced Jacoby Brissett. The Cots have some great receivers but they need a good or at least half decent QB in order to win games for the Colts. They will have to find someone to fill in while Luck is out. They need a QB who can utilize the great receivers the Colts have and Jacoby will get the chance this Sunday. The Cardinals played well last week but the offense looks washed up and losing David Johnson won’t help. I think the Colts defense should have it easier than last week and with anyone but Scott Tolzien as the starter, the Colts should be able to win this game at home. Expect this game to be a blowout. The Buccaneers will open their season in Tampa and they’ll be motivated to play well for their city that was impacted by Hurricane Irma. The Bears are simply no match for them. The Bears are thin at WR with the loss of Kevin White last week. The Bears defense is still a work in progress and it may be viewed that way all season. The Bucs meanwhile are well-built all around and I expect them to do well this season. It will all start with an easy win at home. 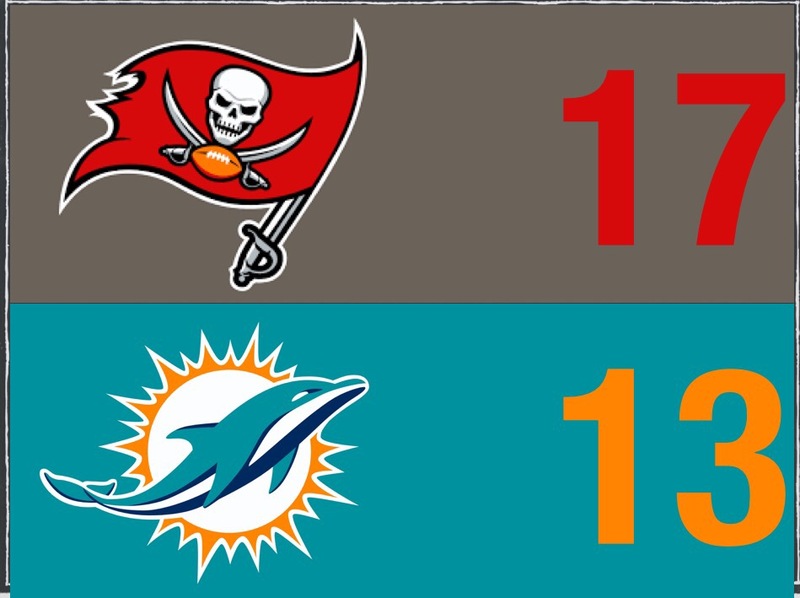 The Dolphins will be almost as motivated as the Bucs opening their season but they are not playing the Bears. Although LA might not feel like home for the Chargers, the Dolphins will be far from home and I expect a loud crowd for the Chargers first home game at LA. The Dolphins will miss Ryan Tannehill and even if the Chargers D isn’t so great. The Miami defense is pretty good but the Chargers have a great offense this year. If they stay healthy, they could make things tough for their AFC West division foes. What happened each of the last two years for the Chargers will not be repeated. Chargers win their first at home in a close one. This Broncos team just is not as good as the recent Super Bowl winner. Some might say the Cowboys have dropped off a bit too. But Dallas still has a strong offense in the post-Tony Romo era as Dak Prescott has been just as good if not better than Romo. Even though Denver was able to get Brock Osweiler back, their offense has continued to struggle after the retirement of Peyton Manning. The Broncos defense is almost as good as they were back in 2015 but the Cowboys offense is stacked. In the end, the Cowboys will grab the win. I don’t think the Broncos will be able to stop Dak Prescott, Zeke Elliott, and the rest of the Cowboys offense. Dak has so many weapons and will have the time to find them to lead his team to the win. 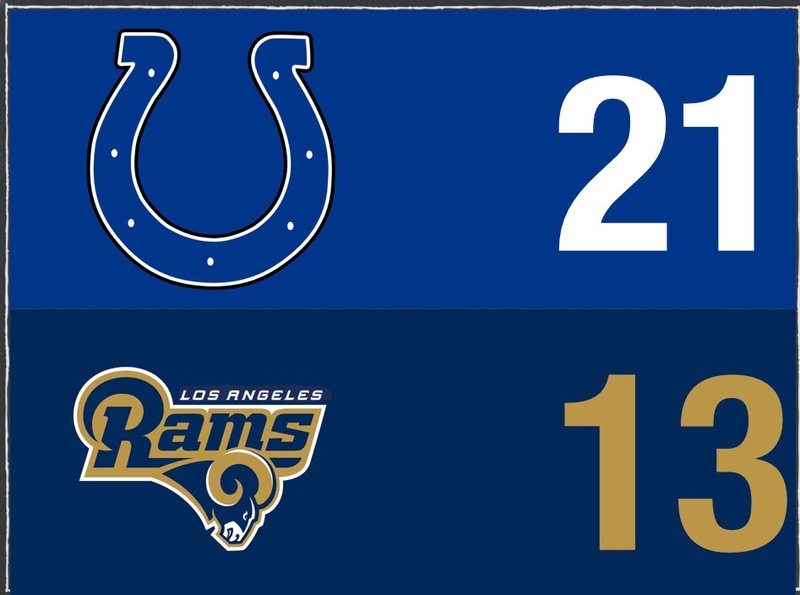 The Rams clobbered the Colts last week so they come into this game with some momentum. On the other hand, the Redskins experienced a rude awakening last week as they lost to Philadelphia. Washington just doesn’t have the same kind of all-around team they had last year. I believe their offense and defense has dropped off versus last year’s team. Meanwhile, the Rams definitely improved on offense and their defense is just as good as last year. 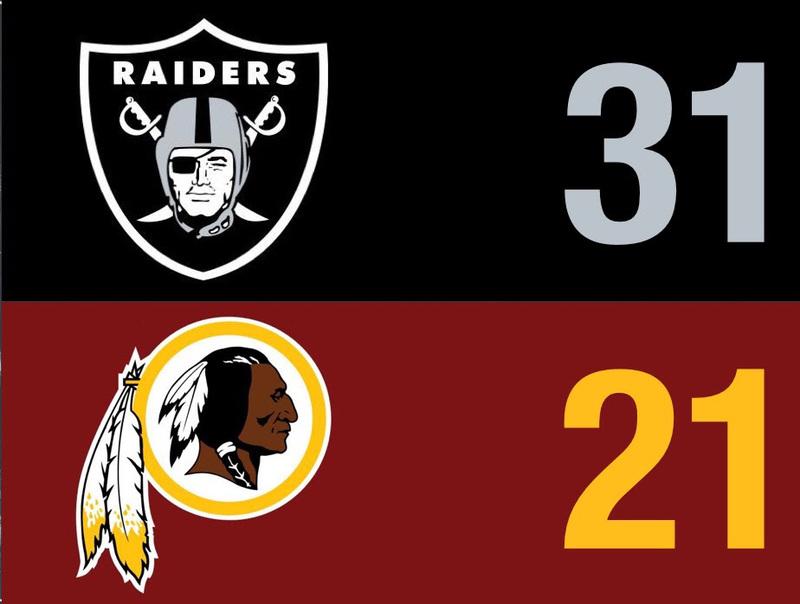 One year ago I would have easily picked the Redskins in this match-up. But the Rams have gotten significantly better and the Redskins are going in the opposite direction. So I think this year, the Rams are definitely the team to beat in this game. 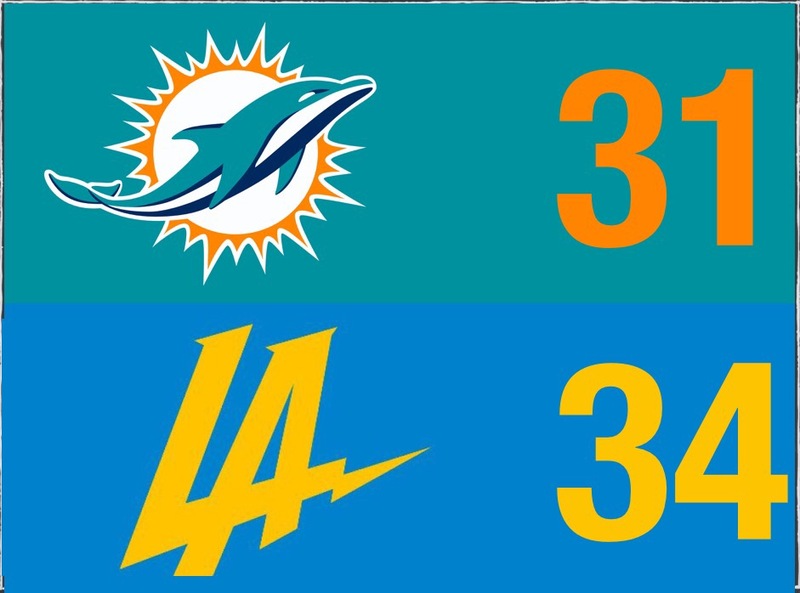 In the end, LA will come out on top led by great games by Goff, Gurley, and Watkins. This game is expected to be a blowout like the two others I predicted this week! 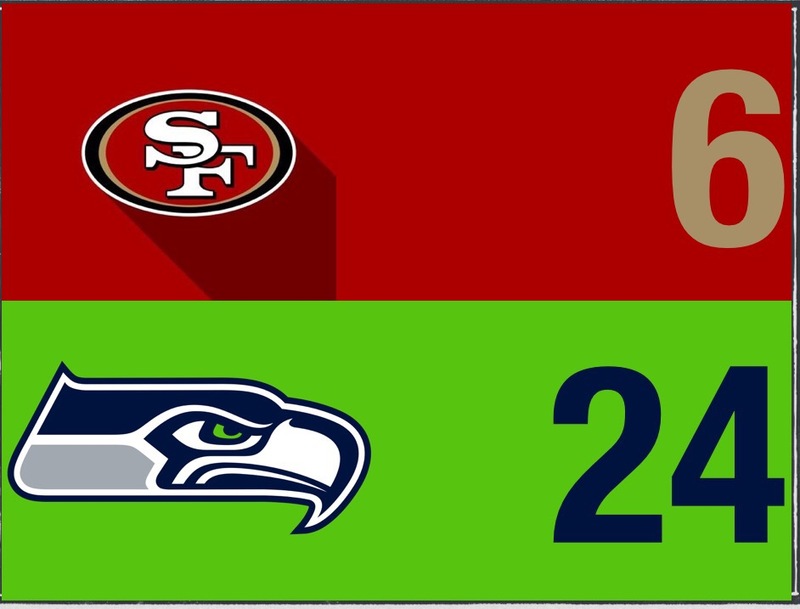 This Seahawks defense is just too good for the 49ers struggling offense. I think the Niners lack the talent on offense and don’t have a single receiver that I would consider Top 50 in the NFL. The Niners defense isn’t that great either but they’ll at least hold a mediocre Seahawks offense to under 30 points. The Seahawks have good pieces on their offense but they just need a couple key additions to make the offense as strong as they’ve been in recent years. However, I still see the Seahawks winning in the end despite some offensive holes. This is going to be a great game. Both these teams are still top tier after facing off in the NFC Championship. 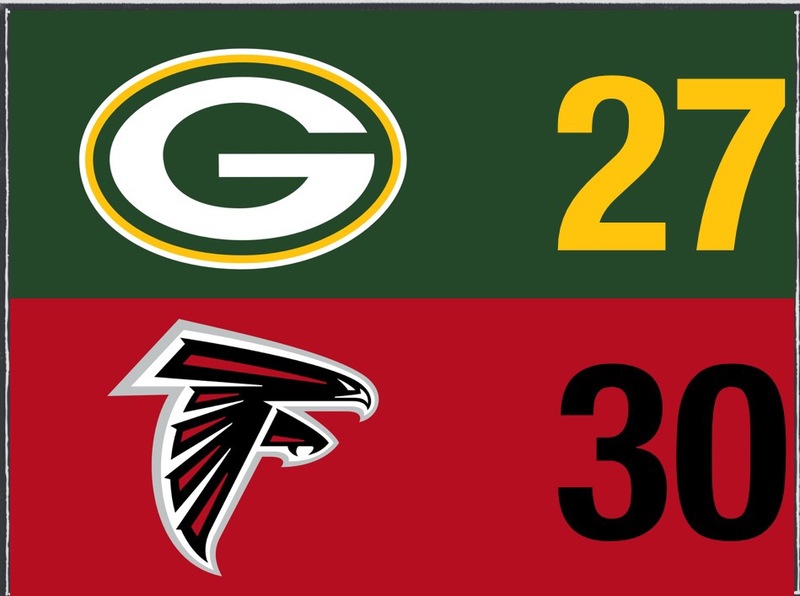 The Falcons have the same great offense and the Packers still have a strong team all-around. I think this will come down to the final seconds. In the end, I have the Falcons winning. The Packers will be under a lot of pressure on Sunday Night in Atlanta. To add to it, this is Atlanta’s first game in a new stadium. The Falcons offense will dominate in this game and it will just be too much for Green Bay to keep up with. This monster offense could be a dangerous weapon for the Falcons and it will carry their less than stellar defense that blew a 25 point lead in the Super Bowl. 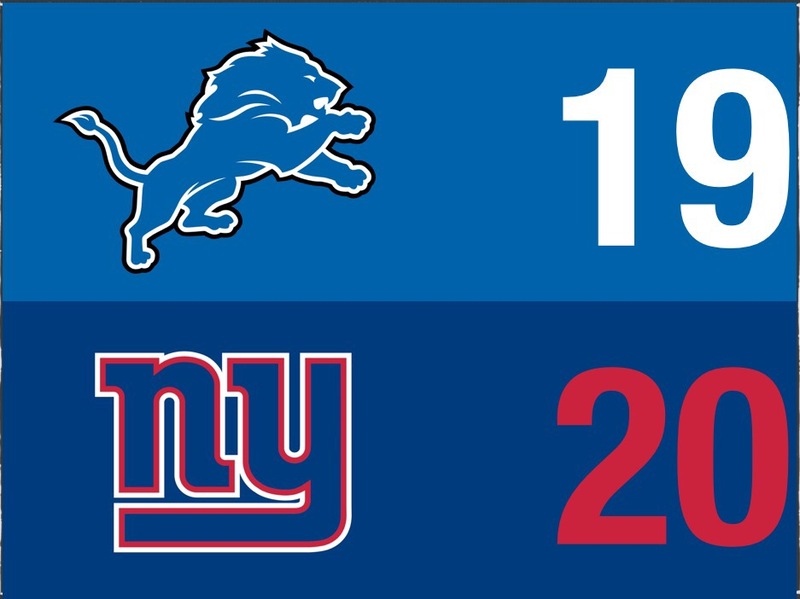 The Giants may have gotten crushed last week but I think they have the offense and the defense to beat the Lions. The Lions put up 35 points offensively last week but the Giants defense has emerged as one of the better defenses in the league and should be able to hold them below 20 points. Even without OBJ (who might not play this week), the Giants receivers are still dangerous. Brandon Marshall and Sterling Shepard should be able to play well as the top 2 receivers until OBJ comes back. The Lions lack a strong secondary so even though Marshall struggled last week, he and Shepard should both thrive this week. The Giants will win because they play even better complementary football than the Lions do, and it took some good complementary football for the Lions to win last week. So that’s all for my picks this week. Stay tuned for more football articles coming soon. Feel free to comment with your thoughts on this week’s games. It’s going to be a crazy week so get ready for it. It’s that time of year again. Opening Night is just a few days away. Soon enough, Tom Brady will be throwing the season’s first TD. It’s time to figure out who’s going to win the first slate of games. Who will start the season strong? Keep reading to find out what I think. The Browns should be a bit better this year but this Pittsburgh offense is just going to be too much for Cleveland. When the Steelers offense is at full strength they’re nearly unstoppable. The Ben-Bell-Brown combo is one of the best offensive trios in the league. Martavis Bryant and Vance McDonald also add a nice touch to this potent offense. Although the Steelers offense will go full out, I don’t see this as a shutout. The Browns offense has gotten better. Crowell will have a good year and Corey Coleman and David Njoku will help out rookie QB DeShone Kizer. The secondary is Pittsburgh’s Achilles Heel and the Browns will take advantage of that. But they won’t come close to topping the Steelers. I wouldn’t consider this much of an upset after the Dolphins lost Ryan Tannehill for the season. But I want to make sure that A) Everyone knows Jay Cutler will be horrible in Miami and B) Everyone who didn’t read my NFL 2017 Predictions knows that the Bucs are my #1 dark horse team this season. I believe that the Buccaneers have the potential to shock us all. They have a solid young defense and the receiver duo of Jackson and Evans alone makes the offense have a good one-two punch. In addition to that Jameis Winston is primed for a complete break through. Doug Martin is back in football shape and while he’s suspended, Charles Sims is a reliable option. I also believe that tight end O.J. Howard will have a huge rookie season. Don’t expect every Bucs game to be a blowout though. The Dolphins defense could be a challenge for Tampa Bay. In the end, though, the Miami D is no better than Tampa’s defense and the Dolphins offense just isn’t the same without Tannehill. I think this calls for a Bucs win. The football season will open with this intriguing match-up. Both of these teams lost key players for the season but I don’t think either team will fall significantly from it. So this is still going to be close. But I have to go with the defending champs here. The Chiefs defense is still solid but their offense is wearing down. They need breakout performances from Tyreek Hill and Kareem Hunt to be any more than a one and done wild card team. The Chiefs are a playoff team right now but they just don’t match up to Brady’s Bunch. The Pats have improved upon last year’s championship team. They made some nice moves to keep the defense good and despite the losses of Martellus Bennett and LeGarrette Blount (free agency) as well as Julian Edelman (ACL injury), this offense is still the best in the league. I see James White as the new starting back after his stellar Super Bowl showcase. Dwayne Allen and Brandin Cooks will be top receiving targets for Brady and watch out for Chris Hogan. He was great in Super Bowl LI and is ready to take his game to the next level. I almost forgot to mention that Gronk was hurt when they won the Super Bowl. They’ll be even better with Gronk at full speed. There is no way the Chiefs will upset them on Opening Night. Meredith’s injury and Cruz’s release just makes these Bears even worse. Although the Falcons won’t be as good as they were last year, this game will be a clinic. The Falcons offense knows what they’re doing. Matty Ice, Devonta Freeman, and Julio Jones are still one of the league’s best offensive trios. 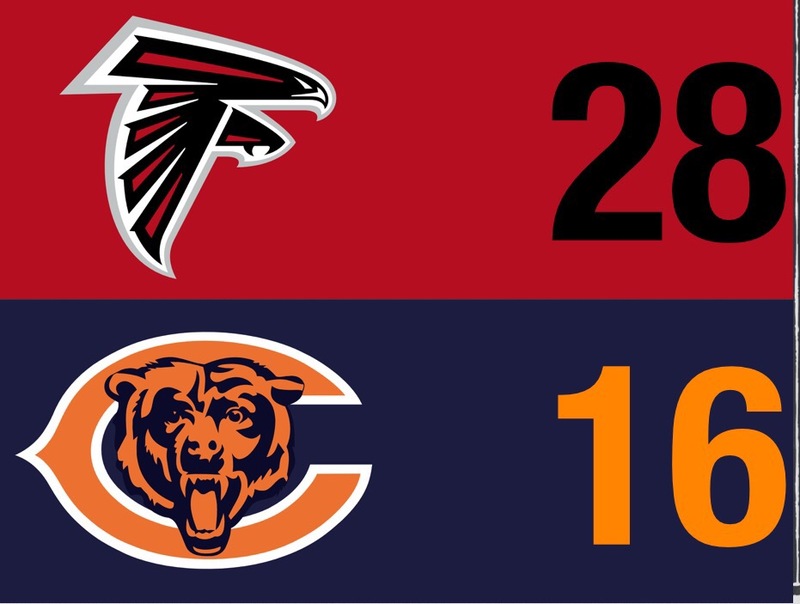 The Bears have nothing on defense to stop them and although the Atlanta D isn’t great either, the Bears don’t have much left for an offense. Unless Mitch Trubisky comes in and shocks the world, the Bears have no QB, barely any receiving weapons, and are left with just one quality offensive player, running back Jordan Howard. I’m even a little worried about Howard’s potential to suffer a sophomore slump. The Bears could be in some deep trouble going into this season and it will all start in this Week 1 game. The Jets may be one of the worst NFL teams in history. They have no reliable receivers, no QB, and Bilal Powell is the offense’s only bright spot. Their other running back Matt Forte is on the trade block. What are the Jets doing? This isn’t a rebuild so I think this might be tanking for the #1 draft pick as they hope for a reliable QB to emerge. The defense is this team’s only hope which is nothing more than mediocre after trading Sheldon Richardson. The Bills aren’t much better, but at least they have a star running back in LeSean McCoy, a half decent QB, and a few good receivers. The defense isn’t that bad either. 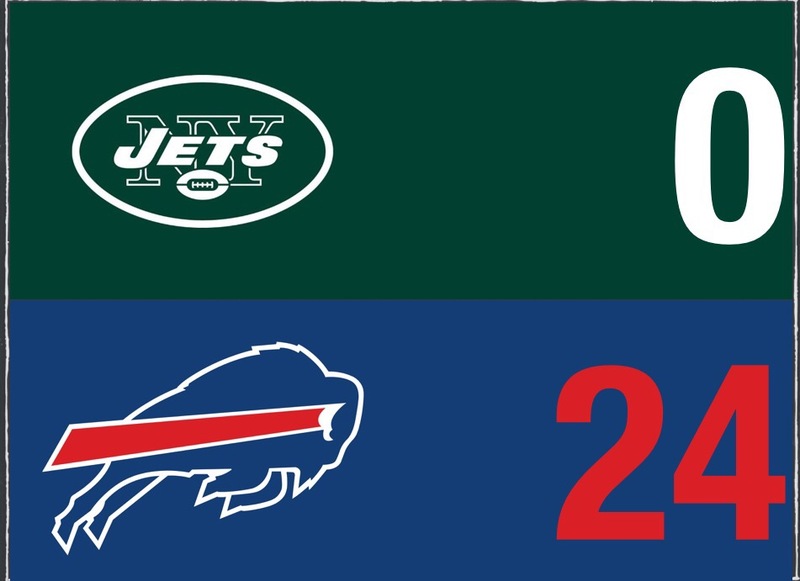 Expect a shutout that will completely embarrass the Jets to start the season. This will be a close one for sure. Neither of these teams is going to have a great season. But these teams are pretty much evenly matched talent-wise. The Ravens have a good defense but don’t have anything going on offense. The Bengals are very similar, except their offense isn’t quite as horrid. The Bengals may have good depth but none of their players are eye-popping and the defense’s dirty plays will get old very quickly. They are going to wear each other down so much that by the 4th quarter, the 12th man will be the difference. This will be a long game and it could even go into overtime. But in the end, I see Cincy winning with the fans giving them the extra push to squeeze out a win. 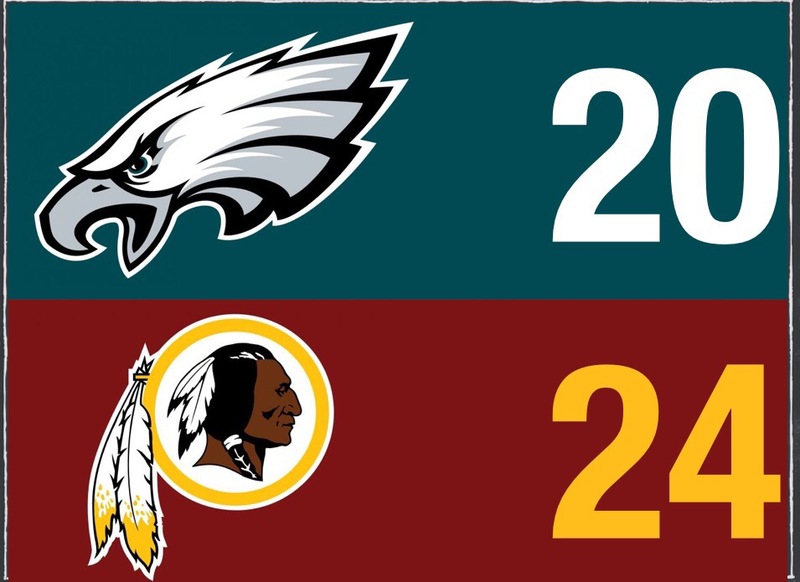 The Redskins won’t be as good as they’ve been in previous years and the Eagles have gotten better. But in Washington, I can’t see Philly winning. The Eagles have a decent all-around team, but the Redskins have a really strong receiving game and parts of their defense will neutralize Philly’s game plan. Although the Eagles are the better team, the home field advantage will make things easier for Washington. It will be close but I’ve got to go with Washington in this one. This is going to be fun to watch. Two quarterbacks coming off major injuries ready to come back strong and lead their teams deep into the playoffs. Both of these teams have superstar offenses this year. Mariota’s offense has continued to improve. They now have multiple reliable receivers and a strong RB duo. The Raiders are coming in with the same offense that may have led them to the AFC Championship last year if Carr wasn’t hurt. The only differences are that Latavius Murray and Mychal Rivera have been replaced by Marshawn Lynch and Jared Cook. Those moves just made the offense better. This game could come down to how good the defenses are. Home field advantage could also be a factor. I think this game will be an offensive shootout, with both offenses going all out. These teams are pretty equal, so I’m going to go with the home team here. Titans win by a field goal. Although the Jags looked good this preseason, I’m not going to buy into their interesting off-season moves again. I made that mistake in 2016. The Texans should win this game. Their defense will just be too much for the Jacksonville offense especially since J.J. Watt is back to full speed and motivated to uplift a city torn by Hurricane Harvey. 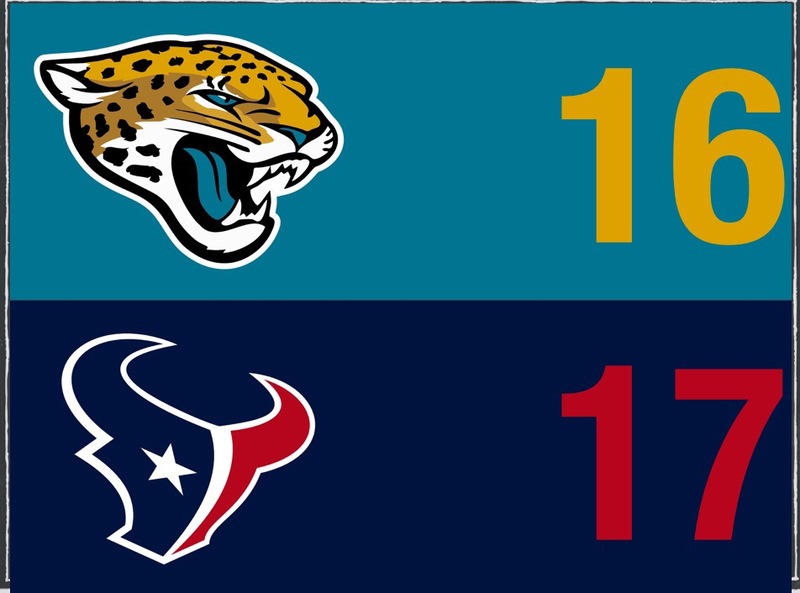 The Jags defense may not be anything special but neither is the Texans offense, so the Jags defense should be alright. 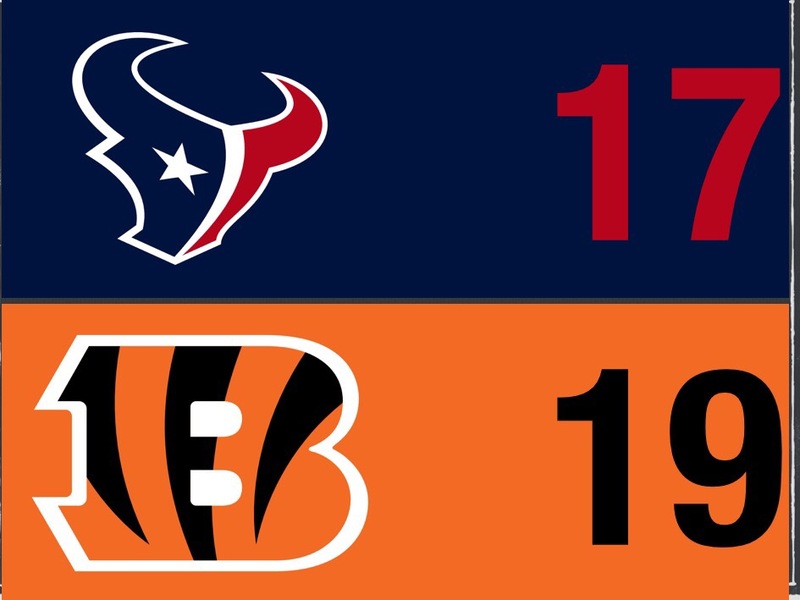 However, as long as the Texans are smart and start Deshaun Watson over Tom Savage in Week 1, I think they’ll have just enough to pull away with the win at home. The last time these two faced off, the Lions got clobbered. But that was 2 years ago and a lot has changed since. The Lions offense has improved significantly and the Cardinals are not the same team that made the NFC Championship in 2015. Their offense is lacking weapons and the defense just doesn’t have the same powerful core. The 2015 Cardinals were a strong all-around team but now Arizona has some serious holes. I like this Lions offense as Ameer Abdullah is very intriguing at RB. Kenny Golladay could be yet another Lions breakout star at WR, and the Lions have plenty of other key playmakers on offense. 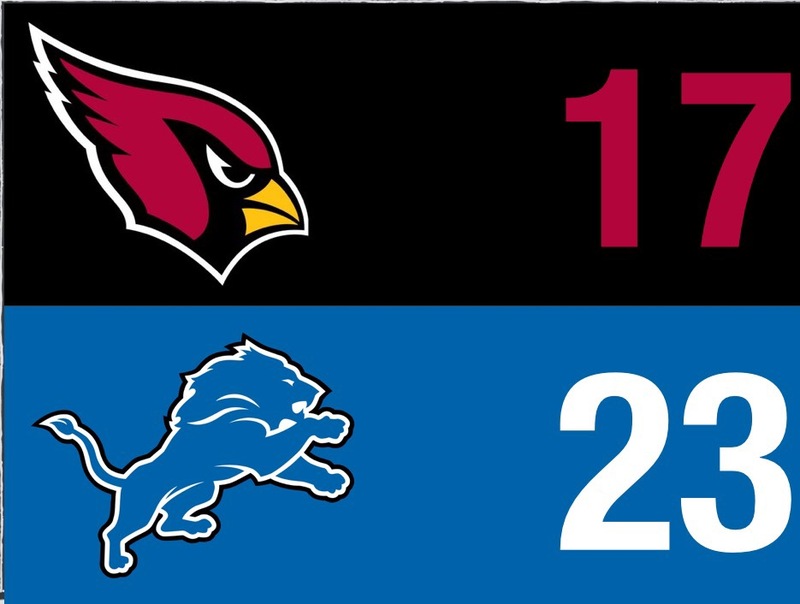 With the highest paid NFL QB, home field advantage, a much better offense, a slightly better defense, and a weaker Cardinals team, the Lions should win this game. I know that some of you might think I’d pick the Rams in an upset here. Since my 2017 NFL Predictions, my thoughts about the Rams have changed. The Sammy Watkins trade was great for them while the Phillip Dorsett trade was not good for the Colts. If Watkins stays healthy, the Rams have the upside to win as many as 9 games. But even if Luck is out early on, I can see the Colts doing better than previous years. They don’t have an established Week 1 QB, but as long as Scott Tolzien can do a decent job filling Luck’s role, the Colts can take advantage of the Rams’ weak secondary. If Donte Moncrief has the huge season I think he will, the Colts should be able to pull away with the win here, even if it’s an ugly win. This is starting to become a serious rivalry. When these two teams play, it’s always a close game. This game won’t be any different. The Packers offense has improved since last season. They added Top 10 tight end Martellus Bennett and drafted running backs Jamaal Williams and Aaron Jones. Jamaal Williams is a first-year breakout pick for me and I think he will greatly improve the Packers run game. Both these defenses are good, but Seattle’s spotless defense has just gotten better while Green Bay’s stays strong. I just don’t think the Seahawks have such a good offense this year. They have a controversy at running back, are very thin at wide receiver, and have offensive line problems as well. 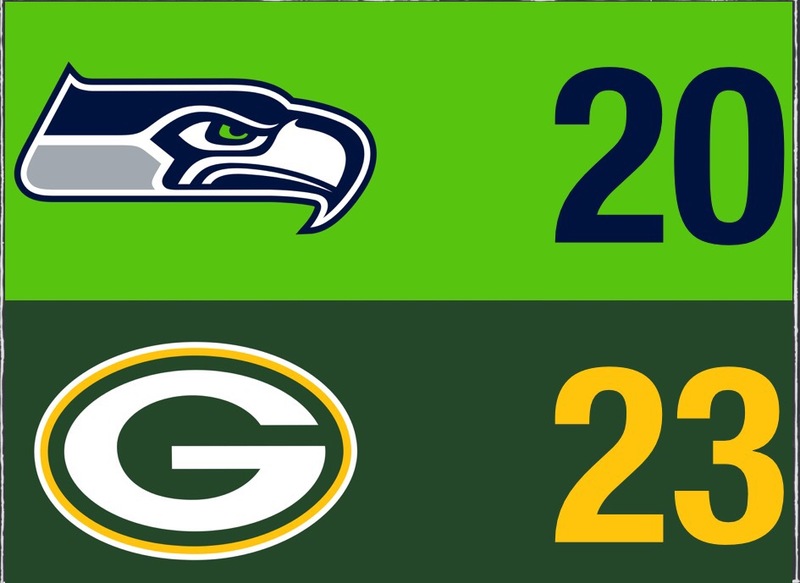 This offense is no match for the Green Bay Packers and although the Seahawks D will make it hard for the Packers, Green Bay will get the win in the end. Not an easy win but a well-earned win at home. I know Kyle Shanahan was a good offensive coordinator and he will be a better coach than Chip Kelly for the Niners. But the 49ers need some more talent before Kyle Shanahan has the chance to succeed as a coach. Brian Hoyer is a well seasoned veteran QB but he lacks good weapons. Who else do the Niners have on offense worth noting other than Carlos Hyde and Pierre Garçon? Nobody. That’s why Carolina will win this game. Their defense will have it easy and their offense should be good enough to overcome a decent San Francisco defense. The Panthers have young talent on offense in Christian McCaffrey and Curtis Samuel and established veterans in Greg Olsen, Jonathan Stewart, and Kelvin Benjamin. Their offense will be strong this year or at least better than last year. Enough to win them a game against the struggling 49ers. This classic rivalry is set for Week 1 once again. 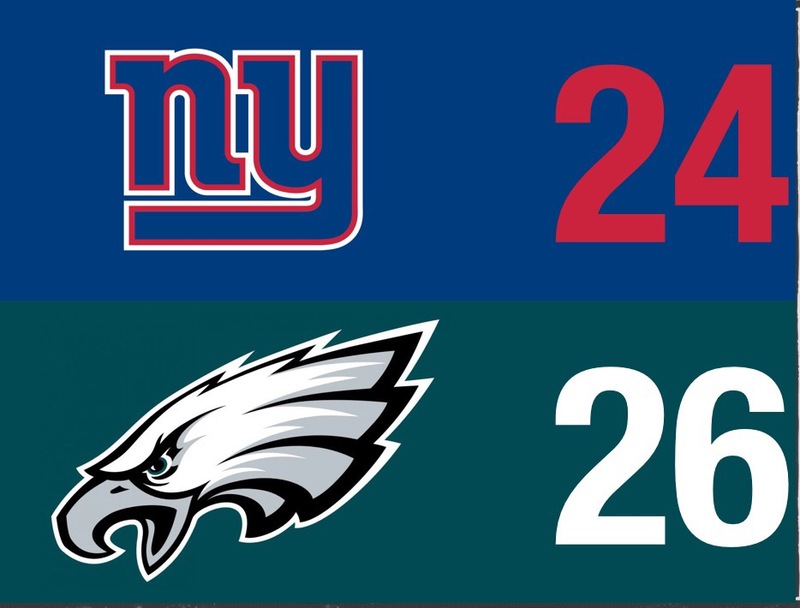 These teams are the two frontrunners for the NFC East and this game will be close. The Giants are beginning to become an all around team. They have a good running back in Paul Perkins and arguably have the best receiving trio in the league with OBJ, Marshall, and Shepard. They lack a tight end and need some O-line help, but those are their only noticeable holes. They are solid on defense as they have a great D-line and secondary. The Cowboys will be a challenge for them though. They may be missing Ezekiel Elliott but with the offensive line that Dallas has, any running back can be set up for success. Remember what Darren McFadden did with them in 2015? It can happen again until Zeke comes back. Their offense is as sharp as it was in 2016 except they’re without Zeke for 6 games. The defense may be a problem though. The secondary suffered some serious losses. But the front seven is looking good going into the season, and they will be able to try and stop the New York run game. It will be tough for the Cowboys secondary to stop these receivers. However, despite the Giants making 4 TD catches, I think the Cowboys will be able to find the Giants’ weaknesses and pull away with the win with home field on their side. 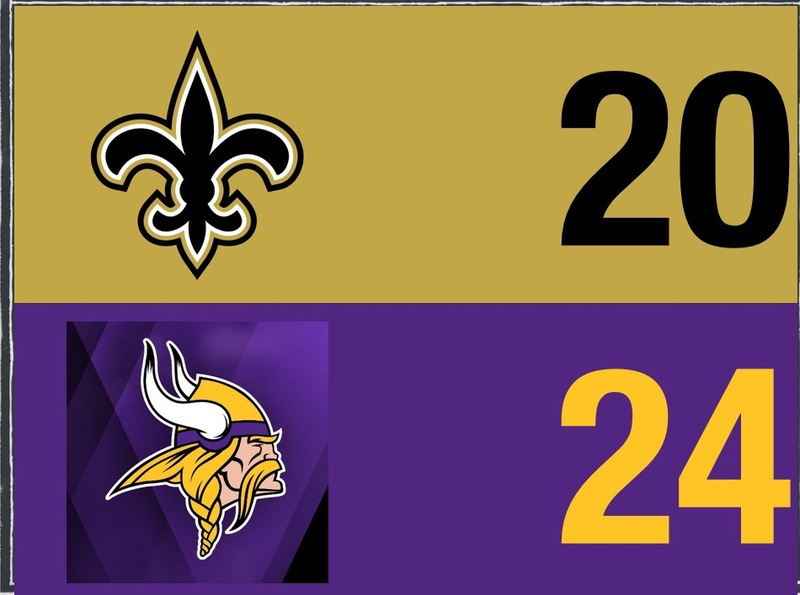 The Vikings may not have the offense that the Saints have but the Vikings defense may be able to slow the Saints down. The Saints offense isn’t as good as it was last year now that Brandin Cooks is in New England. They will probably have trouble with this tough defense especially with Willie Snead suspended for the first 3 games. The Vikings may not have the best offense especially without Peterson but I believe they can have success against a weak Saints defense. Dalvin Cook and Kyle Rudolph will give the Saints tough match-ups. Stefon Diggs should have a better year too. So, if all goes well for Minnesota, they should be able to win this game. The Broncos just aren’t the same anymore. But although I think the Chargers will be better, they’re a mediocre team. They’re not quite good enough yet to beat the Broncos in the thin air of Denver. The Denver defense is going to slow down the Chargers revamped offense significantly. The Chargers offense will only be good if they stay healthy. 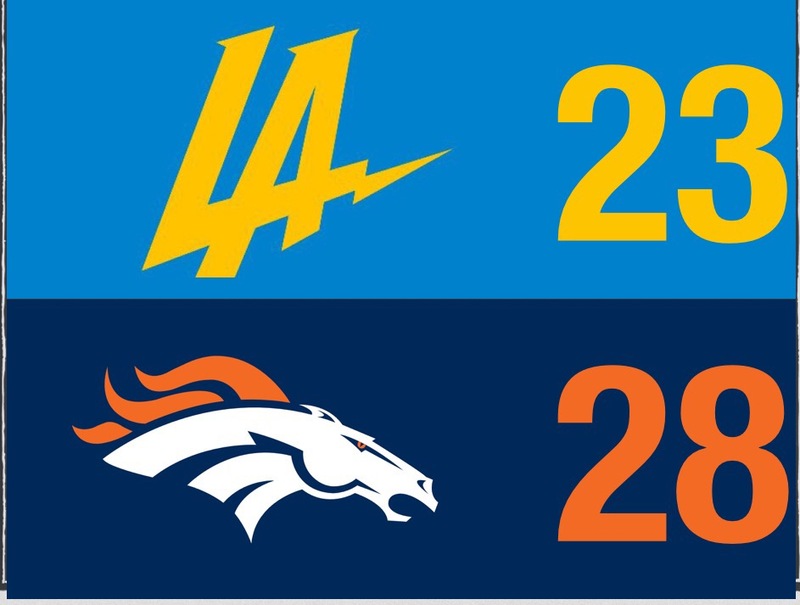 Even at full health, they are not good enough to put up 30 points on the Broncos D.
The Broncos should do well offensively in this game because the Chargers defense doesn’t have too much to stop them. The Chargers have a good front seven but Denver’s run game is not their strength and Denver will attack in the air against a weak Chargers secondary. I see this one going to Denver in the end. It will not be easy for the Broncos though, as they are far from the Super Bowl team led by Manning. At least they’ll have Osweiler again if Siemian struggles, and Osweiler has already proved he can play in Denver. This week will be full of surprises with close games, non-stop action, and a few blowouts. I expect to give the CBS reporters good competition like I did last year. How do you think Week 1 will unfold? Share your thoughts in the comments and stay tuned for more NFL and MLB articles soon.